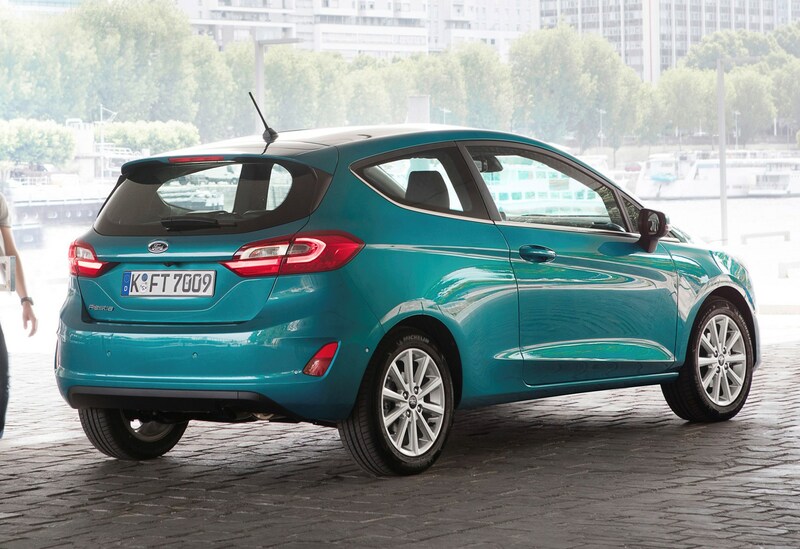 Which Ford Fiesta Hatchback is best for me? 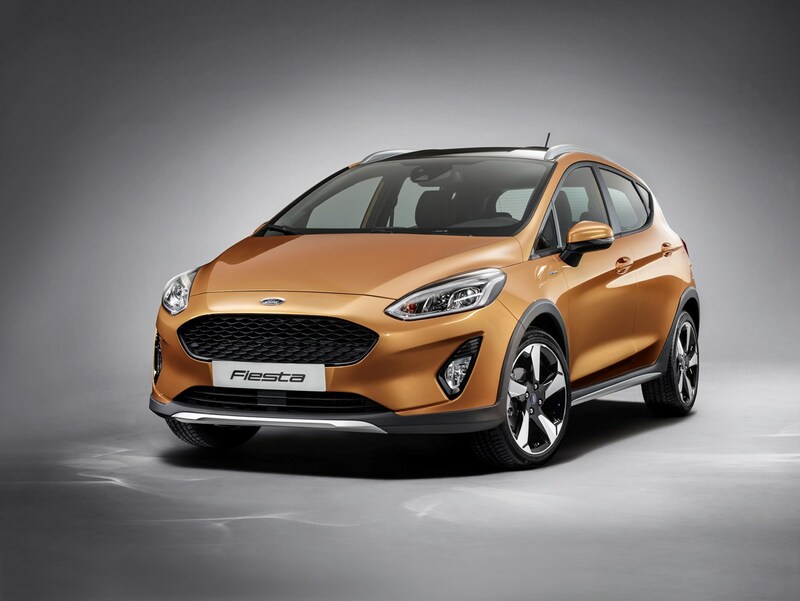 Ford is expecting the top-selling Fiesta will be a 1.0-litre, 100hp EcoBoost-equipped manual car in Zetec specification. However, if you can afford the jump in cost, we’d suggest the best value in the range is actually Titanium. Fleet drivers may be stuck with the diesel engines, and these aren’t bad to drive, albeit nowhere near as good as the 1.0-litre. Just be sure that the benefit-in-kind saving for the lower CO2 isn’t written off by the higher P11D value of these cars. 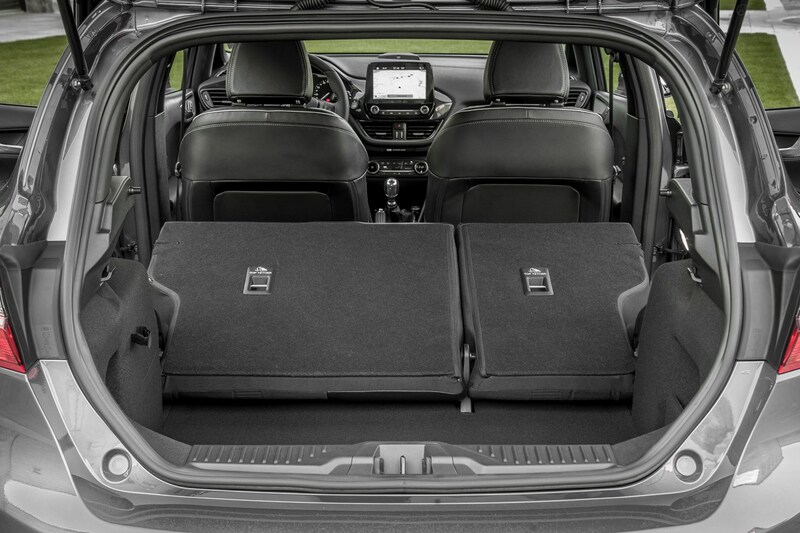 We’d suggest you steer well clear of the Vignale – it’s noisier inside and headroom is severely compromised for everyone in the car. 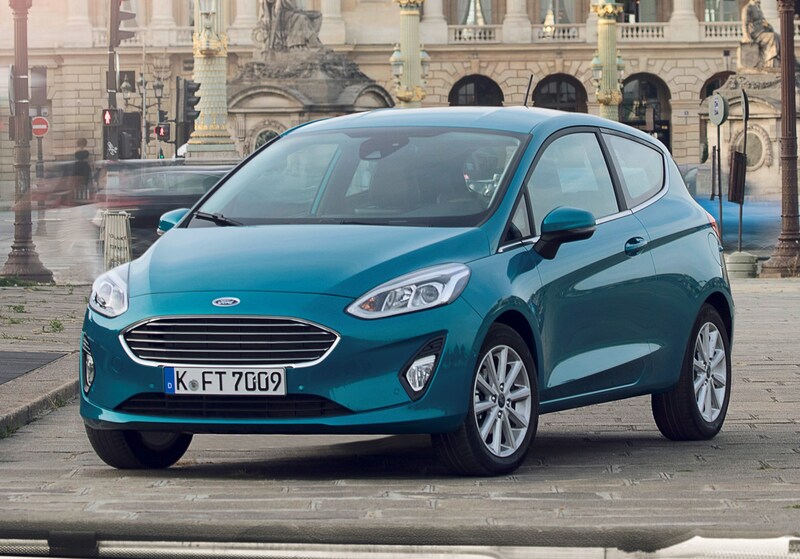 Which Ford Fiesta Hatchback should I buy? 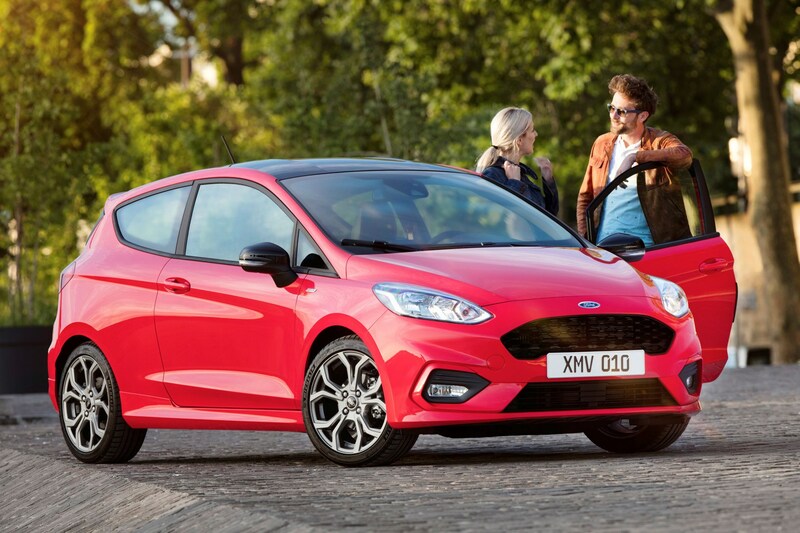 The 2018 Ford Fiesta ST joins the model range around a year-and-half after the regular car was brought on to the market. 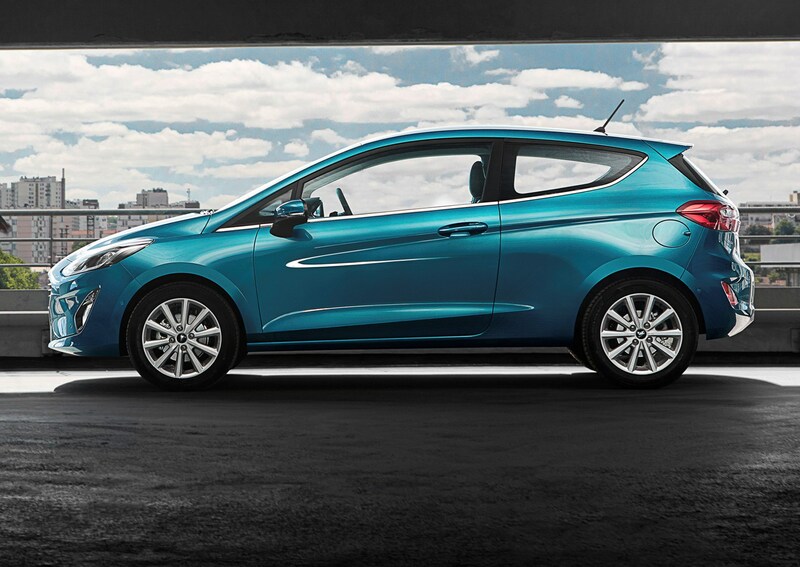 And for those who want to combine the Fiesta’s famed everyday usability with sports car performance, it’s the pick of the bunch. 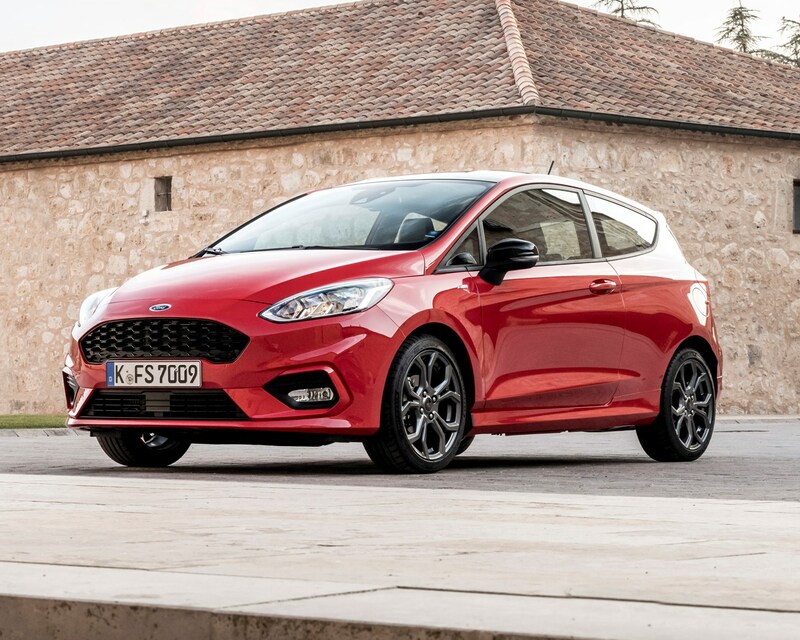 However, before we talk about what the 2018 Fiesta ST is like to drive, it’s important to stress just how much it has to live up to. 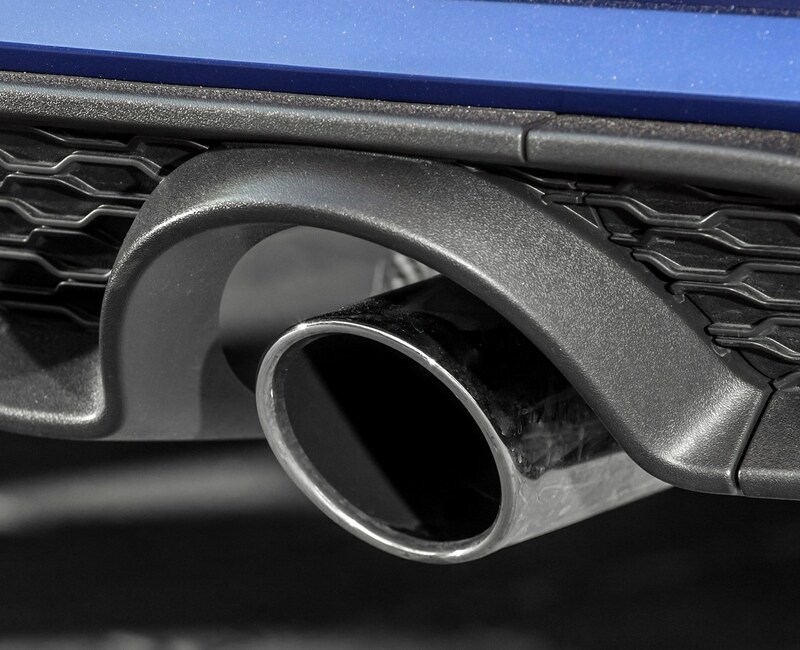 That’s because the previous generation car managed to rewrite the small hot-hatch rule book when it was launched in 2013, combining agile, enjoyable handling with a buzzy 1.6-litre turbocharged petrol engine. It was, in a word, fantastic. 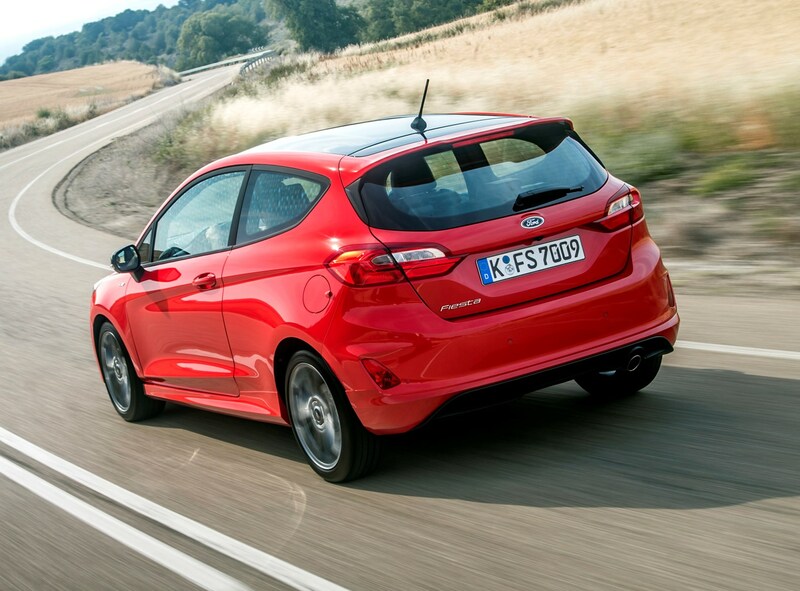 So, is the new car as good, or - dare we say it - better, than the old Fiesta ST? Starting with the sensible stuff, and it’s good news. 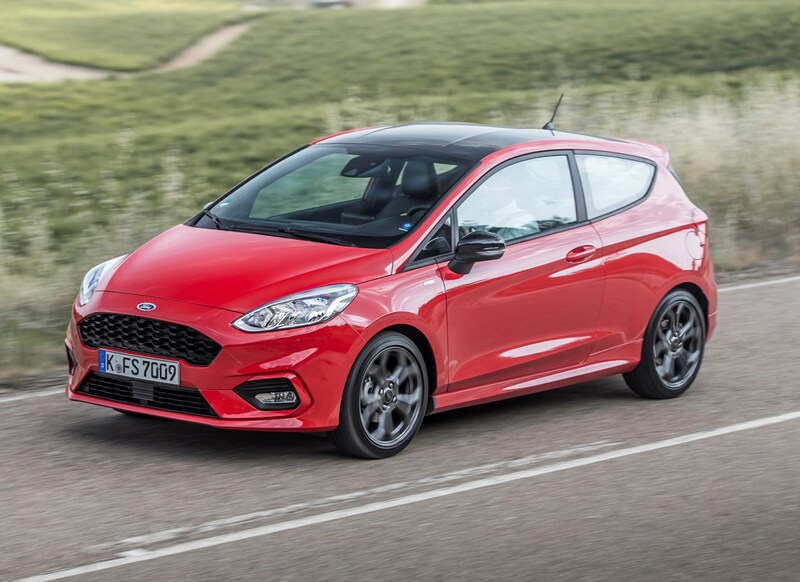 Excellent as it was, the previous Fiesta ST had a very firm ride that wasn’t always desirable when trying to drive around the pockmarked roads of Britain’s towns and cities at more leisurely speeds. 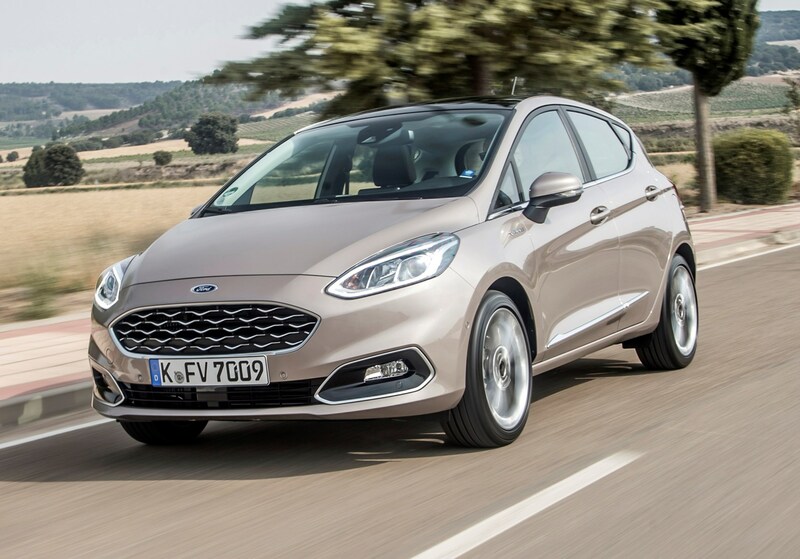 Happily, Ford has added a touch more compliancy to the suspension, the end result being a car that is immediately more usable than the one it replaces. Sure, it’s still not what you’d call cosseting, and it still hops and skips over the worst surfaces, but the improvement is noticeable nonetheless. 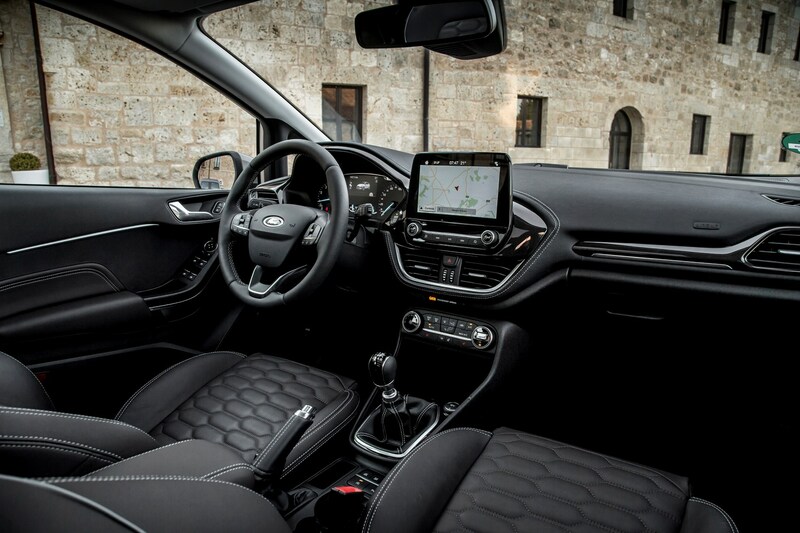 Being based on the regular 2017 Fiesta also means the cabin is no longer a button fest either, and the inside in general feels far more grown up. 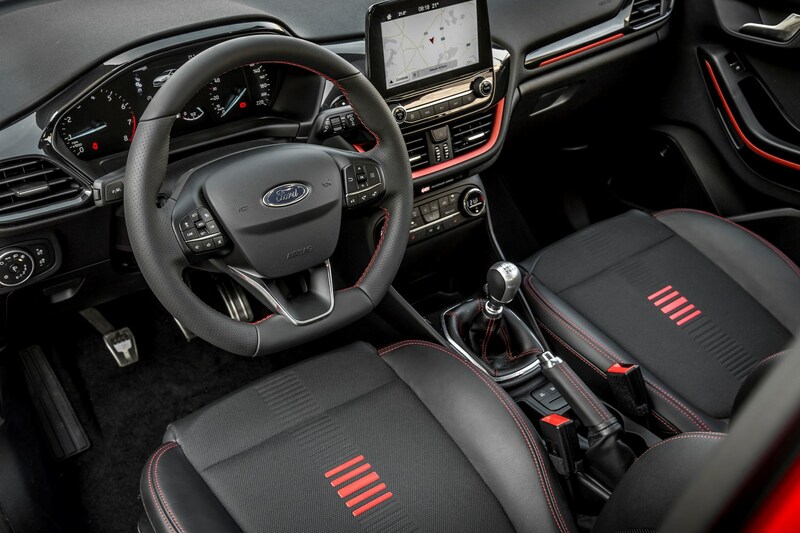 Some customers may be disappointed at the lack of unique ST addenda, though, with a Focus RS derived steering wheel, some ST kickplates, coloured stitching and new seats being the biggest changes over the standard car. 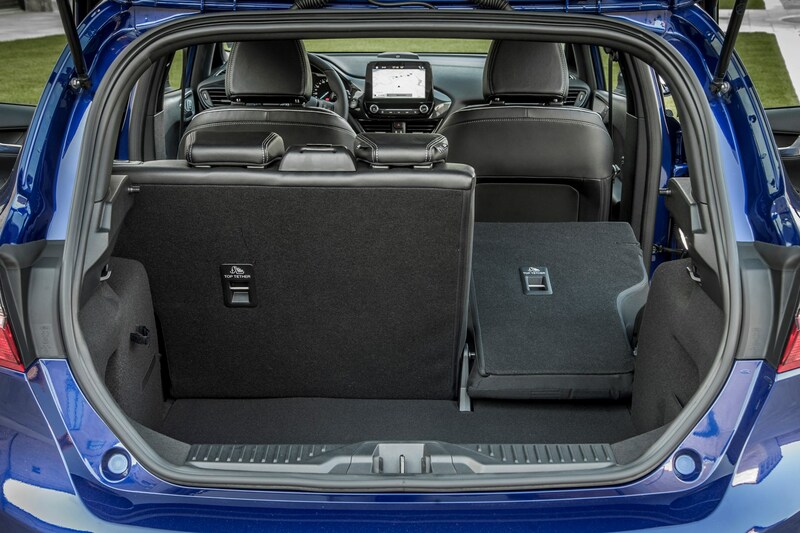 However, those Recaro bucket seats are worth their weight in gold, chiefly because they allow the driver to sit far lower down in the car than they could in the old Fiesta ST, giving a more involved feel in the actual driving of the car. 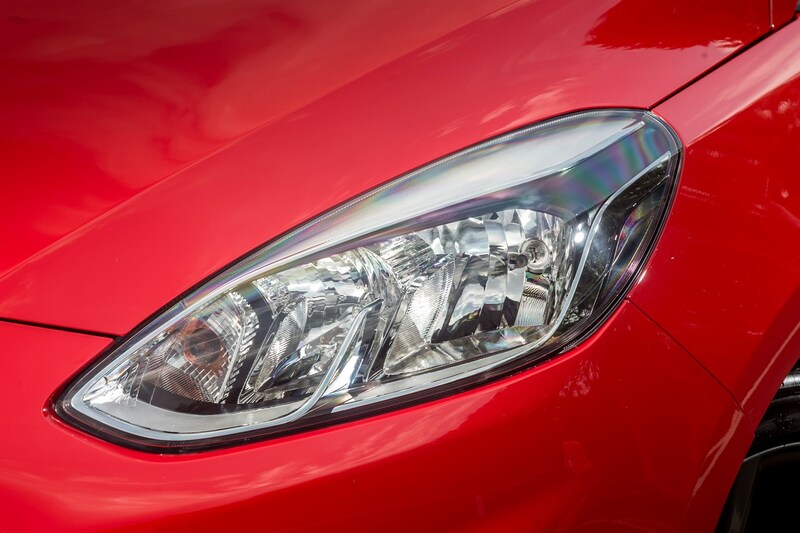 Eyebrows were raised when Ford announced they would be fitting a 1.5-litre three-cylinder engine to the Fiesta ST, and, although it behaves in a significantly different manner to the old 1.6-litre four-cylinder, it’s still a cracking engine. 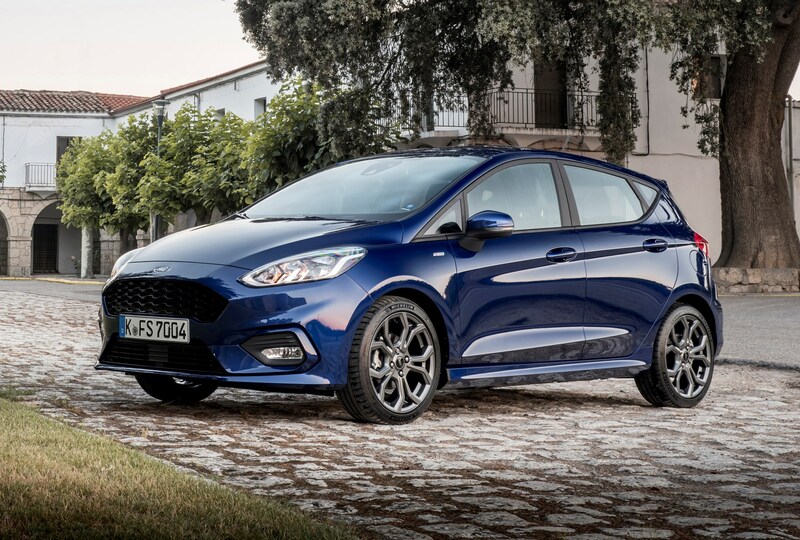 Power is a healthy 200hp, while torque stands at 290Nm, enough to sling the Fiesta ST up to 62mph in just 6.5 seconds, and eventually hit a top speed of 144mph. And from behind the wheel, it feels every bit as quick as the figures suggest. The power delivery is linear and grunty, with plenty of low-down torque to help with motorway cruising, plus there’s an enticing rumble from the active exhaust (helped along by electronic sound enhancement) that changes its behavior through the three different drive modes. Fans of the previous ST’s four-cylinder engine may miss its spikier power delivery and buzzier character, but the new 1.5-litre is well-judged replacement, feeling perfectly at home in a small hot hatch. 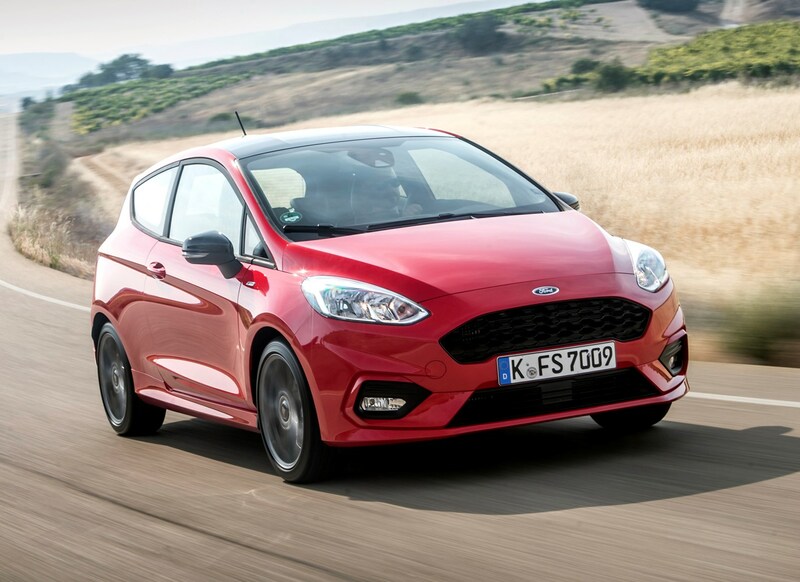 It may only be based on a supermini, but the Fiesta ST is still one of the best handling cars that money can buy, delivering laugh-out-loud levels of fun and surprising capability. Changes over the previous generation car include a wider front axle for greater stability plus quicker steering and greater overall stiffness for more agility – something that certainly wasn’t lacking in the first place. The end result is a car that gobbles up corners in a quite staggering manner, displaying huge grip levels from the front end and enough feel through the steering and seats to give drivers the confidence to push to the limit. And when you do reach said limit, things get even more fun. 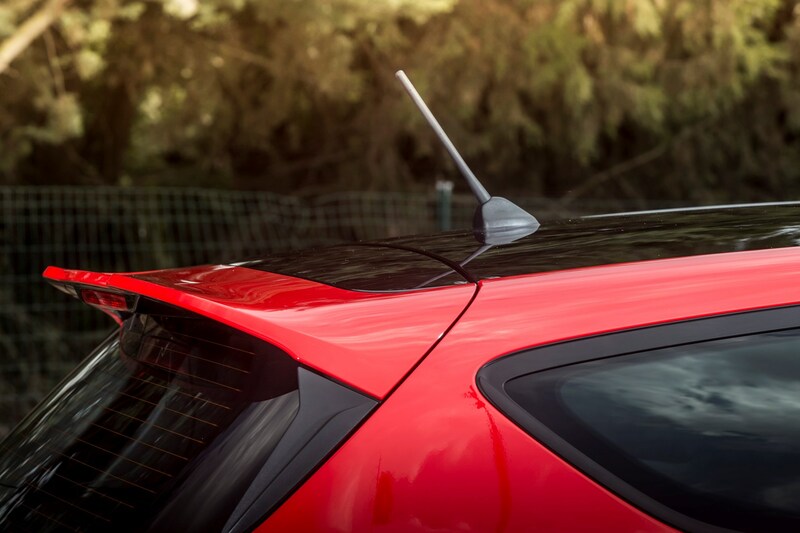 When provoked, the Fiesta ST will gently allow its rear end to slide around in a highly controllable (and predictable) manner, something that the previous car was also famed for. Complaints? 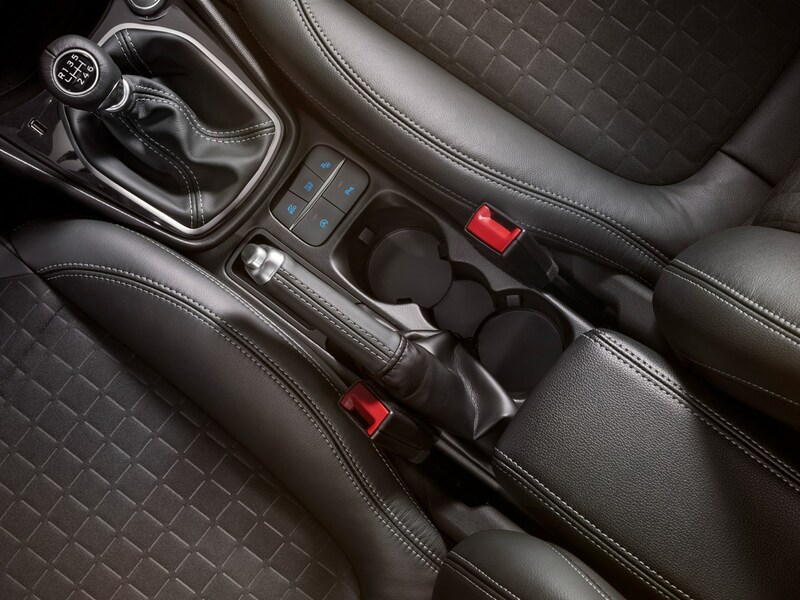 The pedals are badly spaced for heel-and-toe (where the driver matches the revs using their right foot) and the drive modes add little to the overall experience. 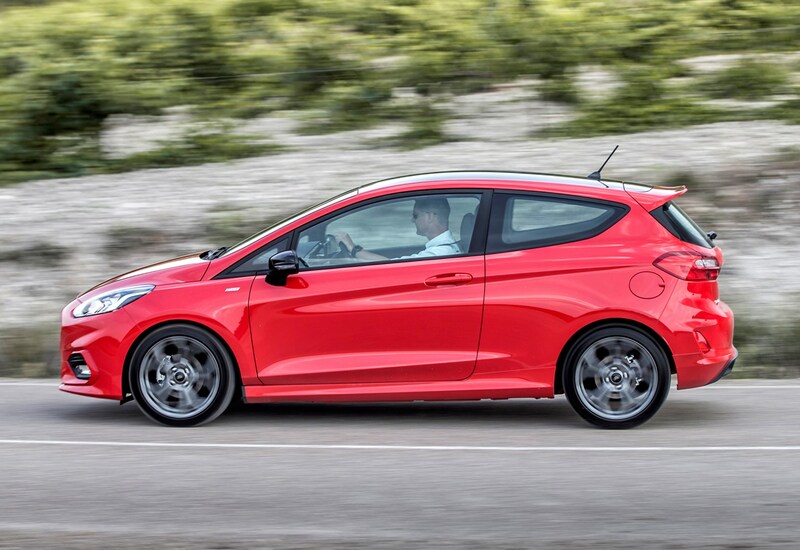 Whether you’re in Normal, Sport or Track, the Fiesta ST still feels broadly the same to drive. 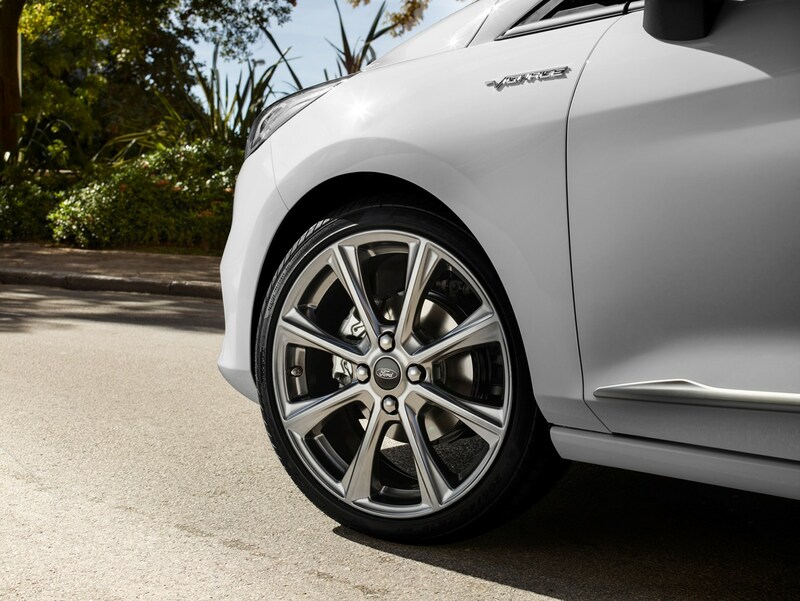 Also, the brakes, while powerful, are difficult to modulate when trying to drive smoothly. The big question: do I pick the Performance Pack on my Fiesta ST? 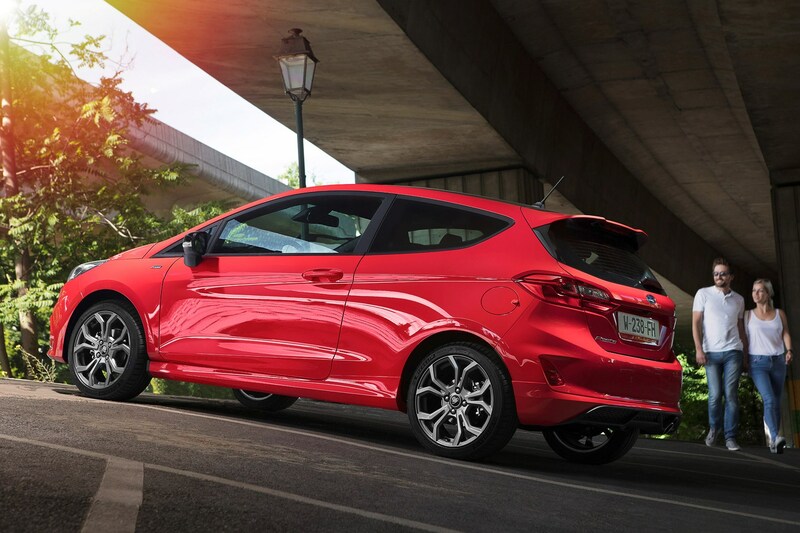 The biggest decision you have to make as a Fiesta ST customer is whether to tick the box labelled Performance Pack on the options list. 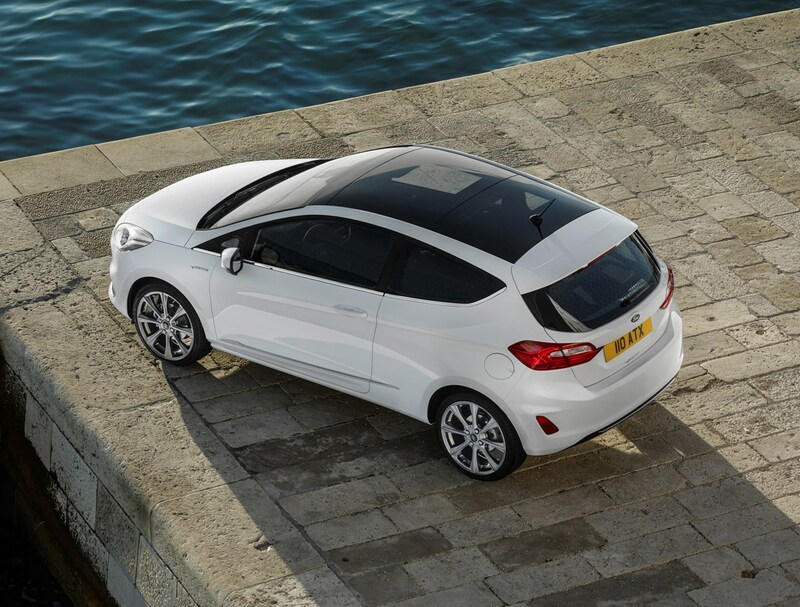 This £850 extra nets you three things: a limited-slip differential, some gear-shift lights and launch control. 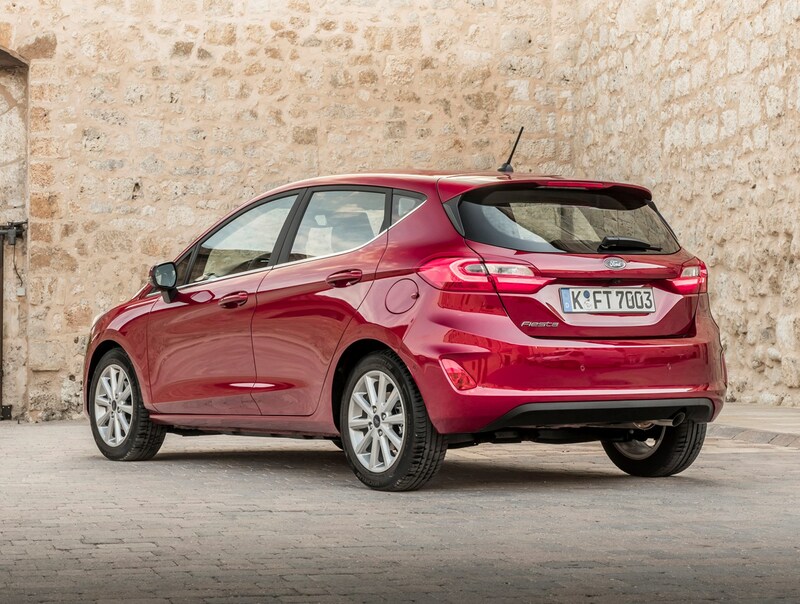 We’ve sampled the Fiesta thus equipped, back-to-back with a standard car, and basically in our eyes it’s a no-brainer. 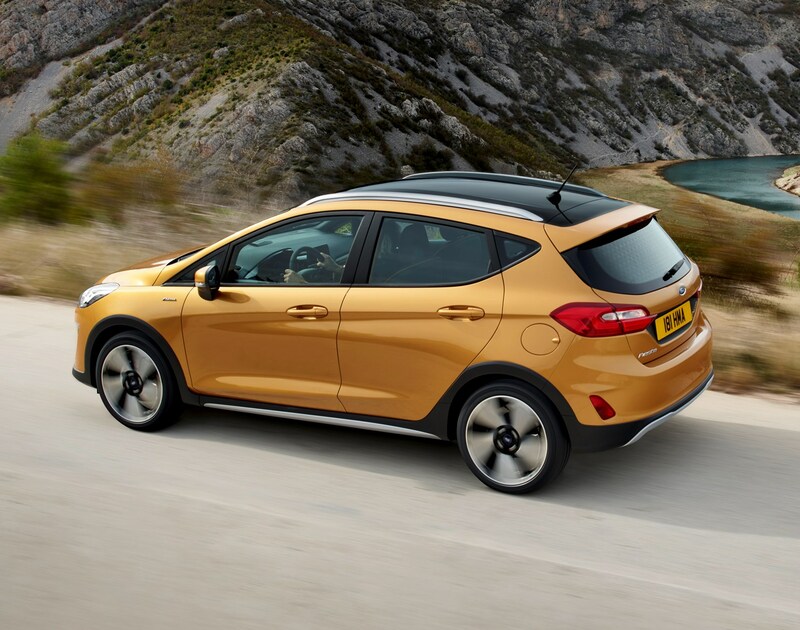 If you like to drive quickly, which is at least partly the reason why you’re buying an ST in the first place instead of an ST-Line, Active or Vignale Fiesta, then the differential in particular makes a huge difference to how much you can enjoy the car. It offers far more traction in corners, preventing the front end washing wide quite so soon and enabling the driver to get onto the throttle a lot earlier. But the really clever trick in our eyes is that you pay almost no penalty for such a feature during normal driving. 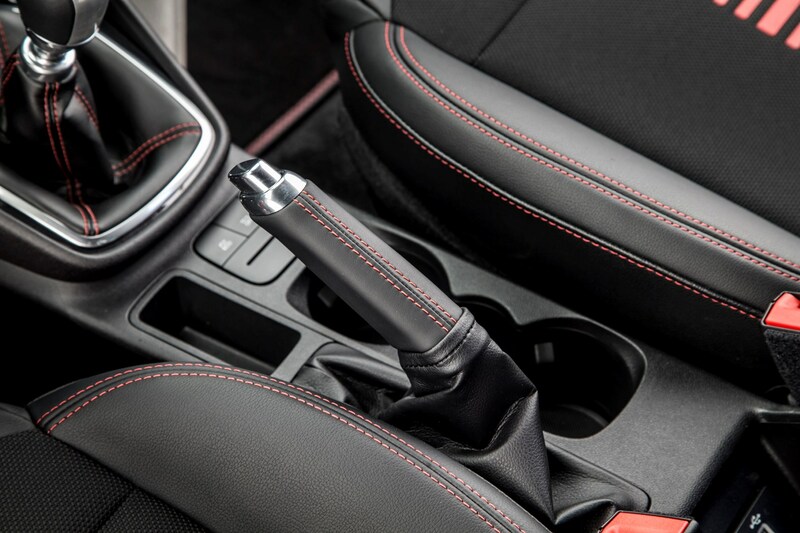 On other similarly sized cars using diffs like this, you quite often feel like you’re fighting the steering wheel for control of the car – particularly when taking off from a standstill at full throttle. It can be an entertaining experience in some conditions, but in others (such as heavy rain or snow) it’s quite unpleasant. 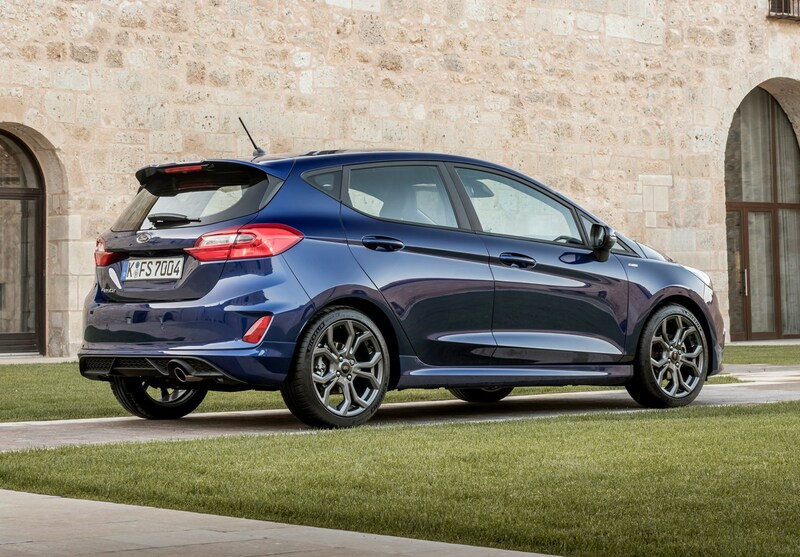 Ford’s engineers have almost eradicated the problem, so that the ST is as tractable as any other version in the line-up for every day driving. In fact, we’d have to question why anyone wouldn’t pick this pack unless you were literally down to your final few pounds when saving for your car. 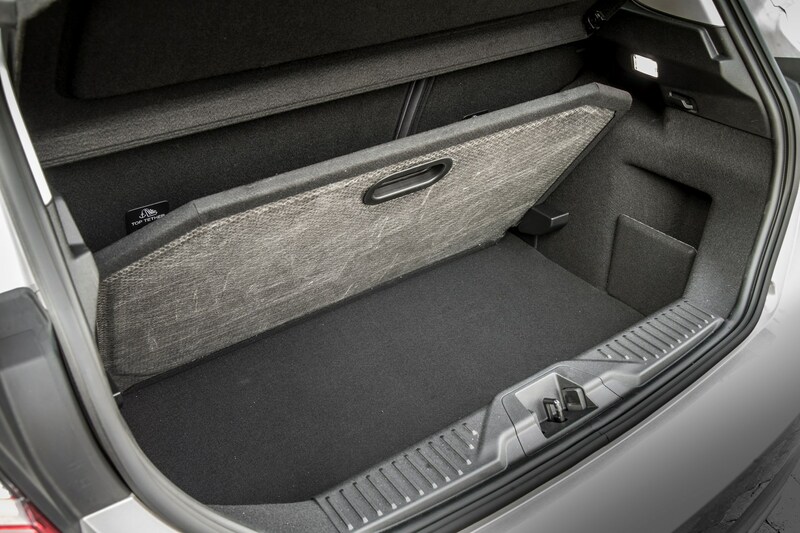 The £850 premium should also pay for itself come resale time, because Performance Pack vehicles will be more desirable. 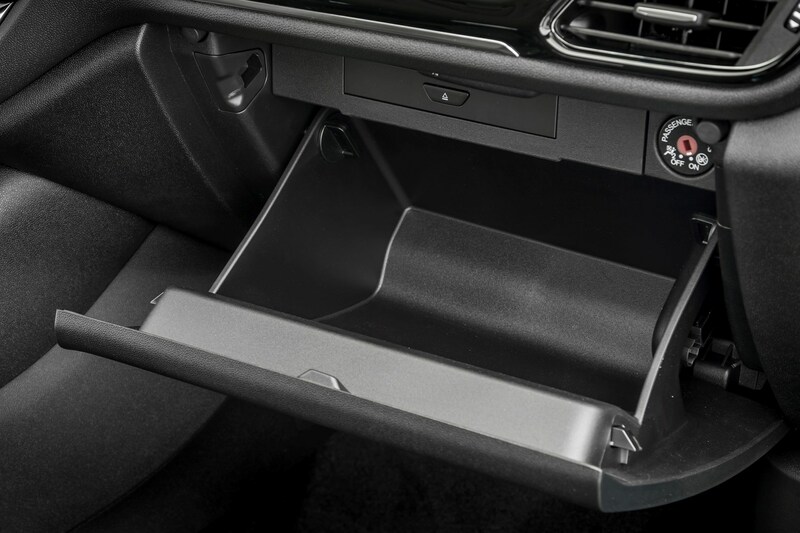 The other two features we’re less sure about, but you don’t lose anything by having them. 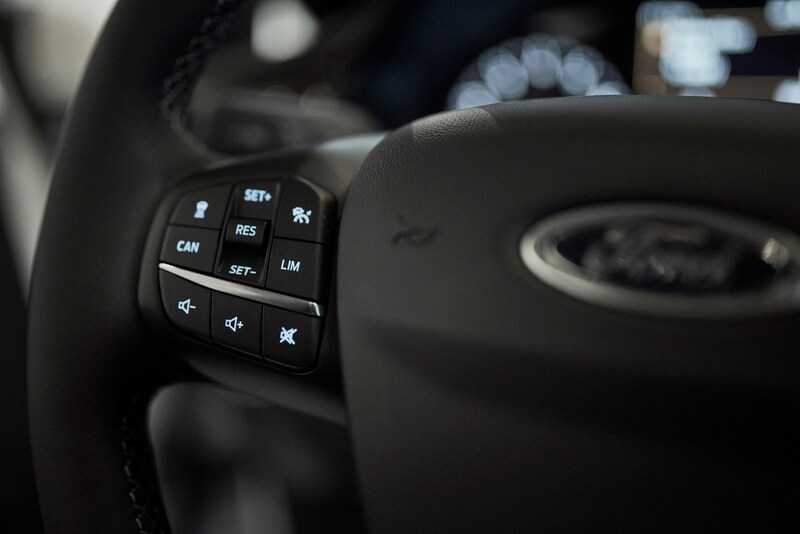 We found the gear shift indicator, which illuminates on the dash when you need to shift up, was too small to be of any real benefit, and the launch control mode is meant for race tracks only, but allows the driver to make the perfect getaway by holding the revs at a set point when you’re stationary. 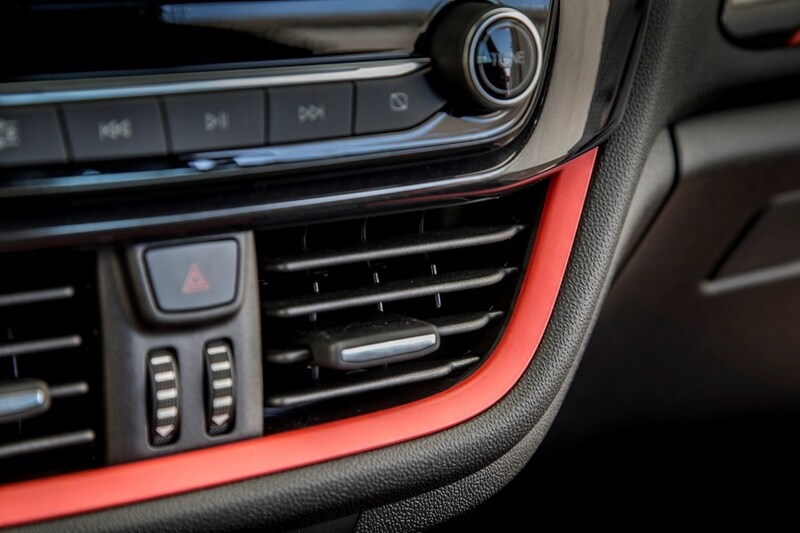 It feels hard on the car, and we’d suggest it’s more fun doing this yourself anyway, if that’s your thing. Still, if you like to drive quickly then pick the Performance Pack. If not, then why not save some cash and look at a softer, cheaper and more efficient ST-Line instead? It has the looks, but without the powerful engine or bespoke chassis kit. 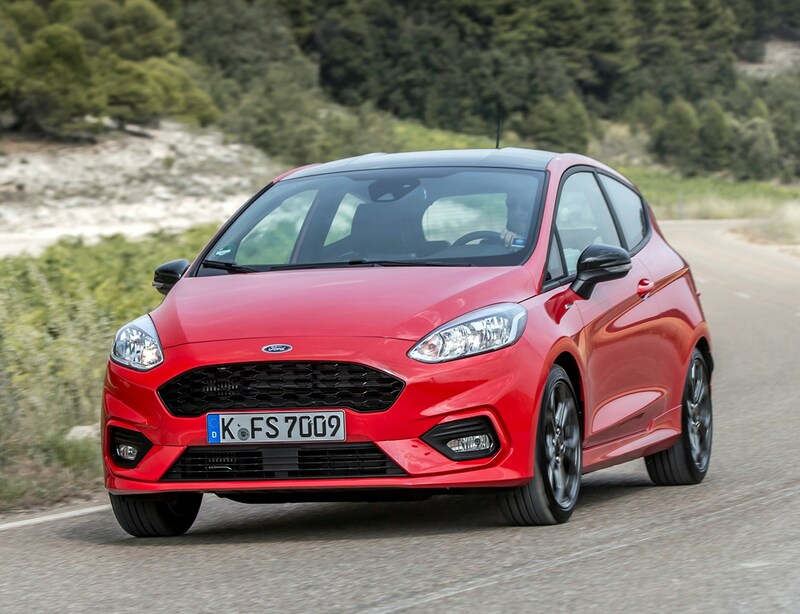 Fears that the Fiesta ST would not live up to its predecessor could not be wider from the mark. 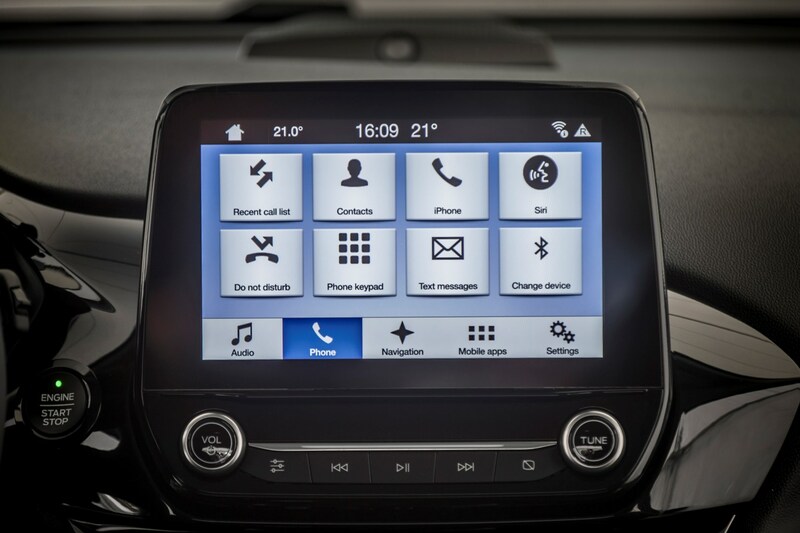 This 2018 car marks an improvement in just about every department, from the greater all-round usability to the staggering all-round capability it shows when driven quickly. 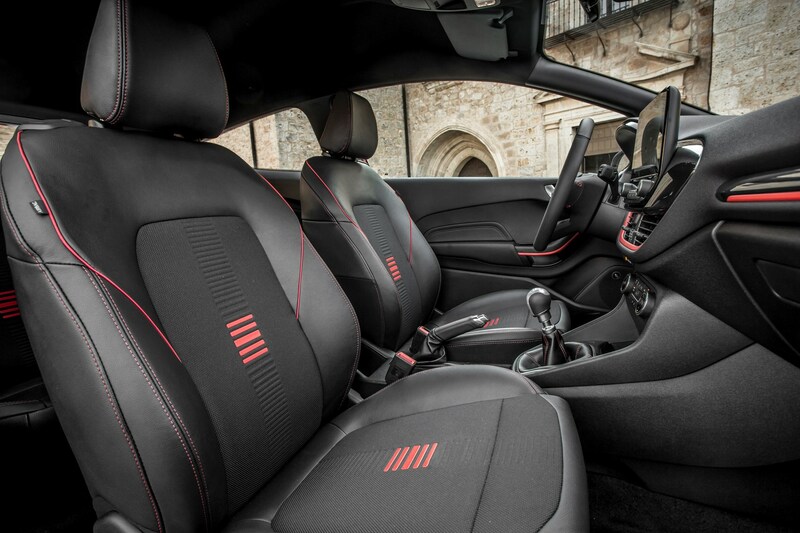 It is, at the time of writing, the best hot-hatch for the money – and one of the best overall. Just ensure you pick the Performance Pack to make the most of your purchase. 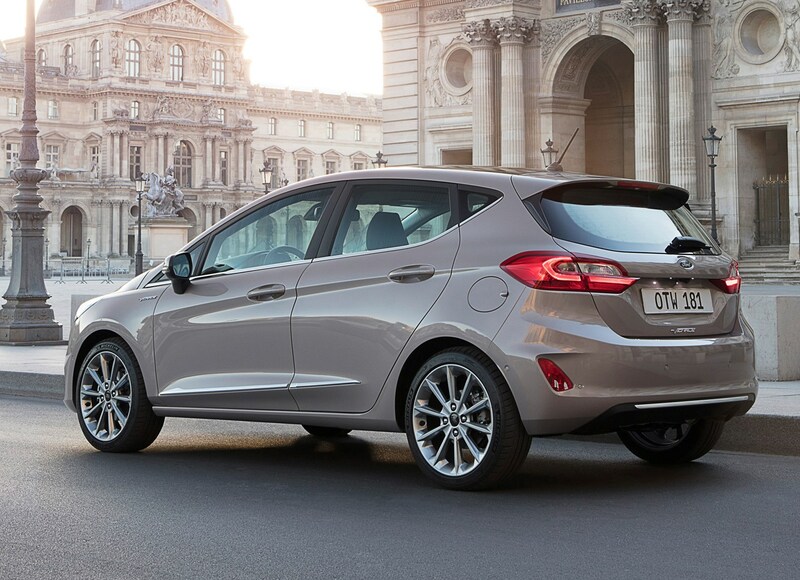 There’s something sweet in the supermini sector for fashion-conscious Ford buyers. 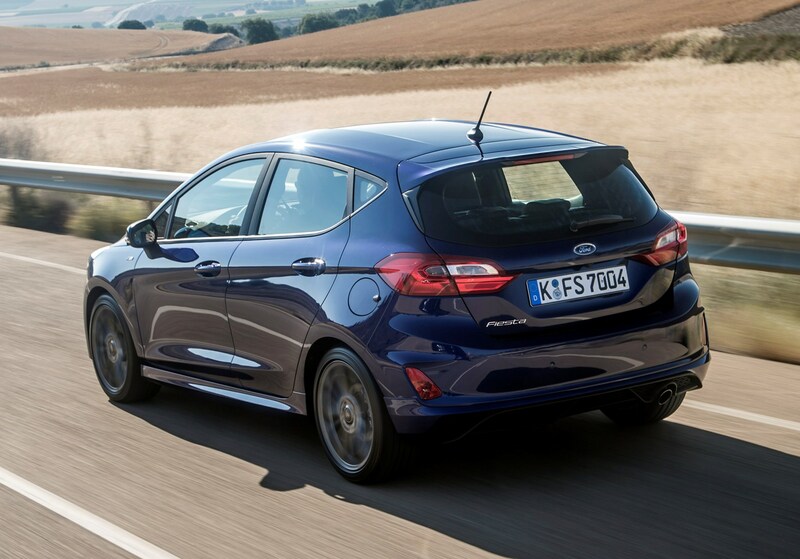 2018’s Fiesta range includes a full-on Vignale model, and it’s clear Ford’s taken this seriously. 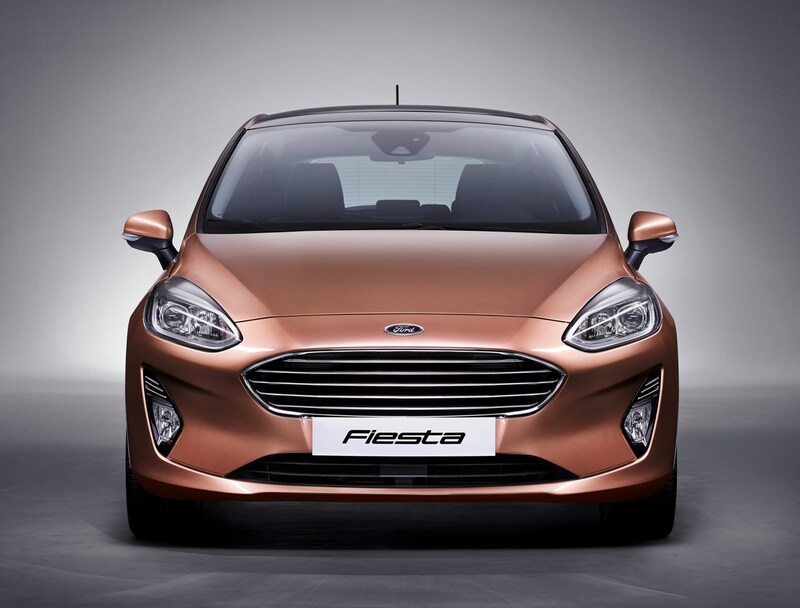 The trademark chrome grille and a trio of prominent badges tell the world you’ve paid a significant premium for your Fiesta; job one ticked for any luxury item. 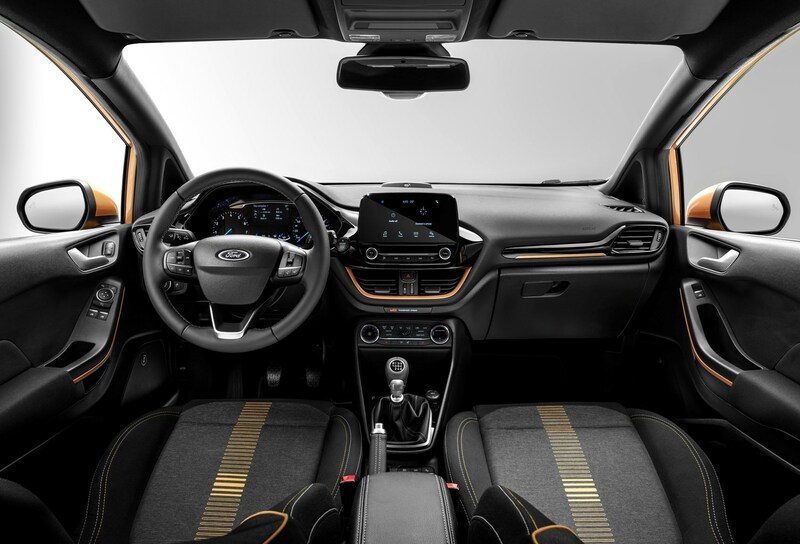 Vignale’s touch extends to expanses of leather – or leather-look in places – interior trimming. 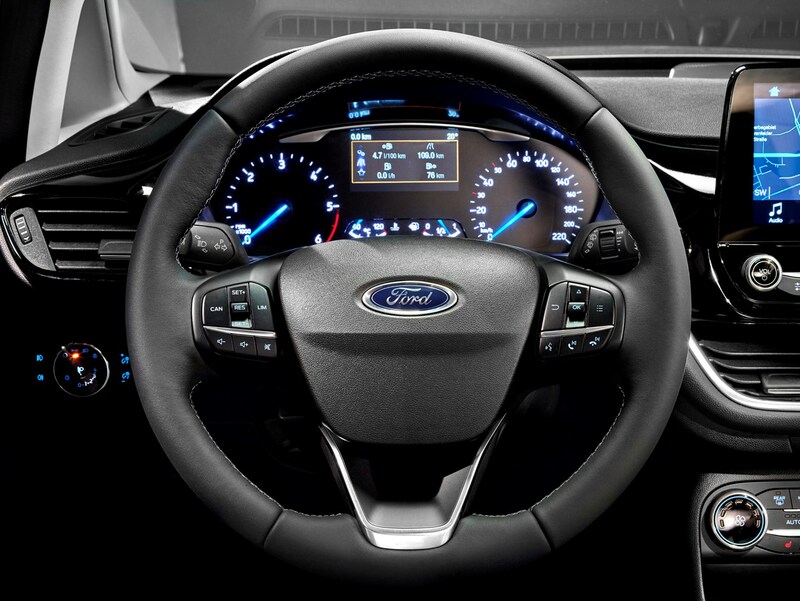 Unlike some rivals, Ford’s stitched dashboard actually looks like it was crafted rather than moulded with faux threads. Dark, deep purple carbonfibre-pattern surrounding panels catch sunlight in a fascinating way that the fake wood of older Ghia models never could. If you keep looking straight ahead, the effect is impressive; turn your head and the rather bland expanse of plastic trimming the door looks less prestigious. 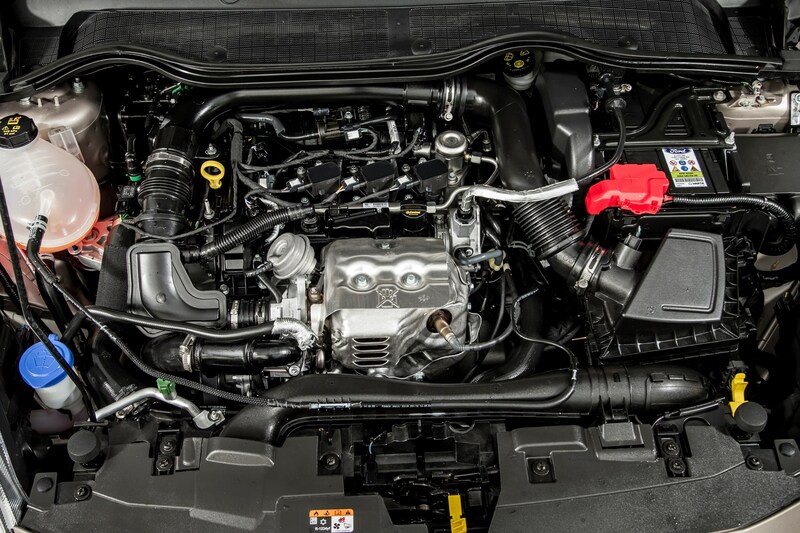 Ford was a pioneer of the new class of high-output, small-capacity engines. 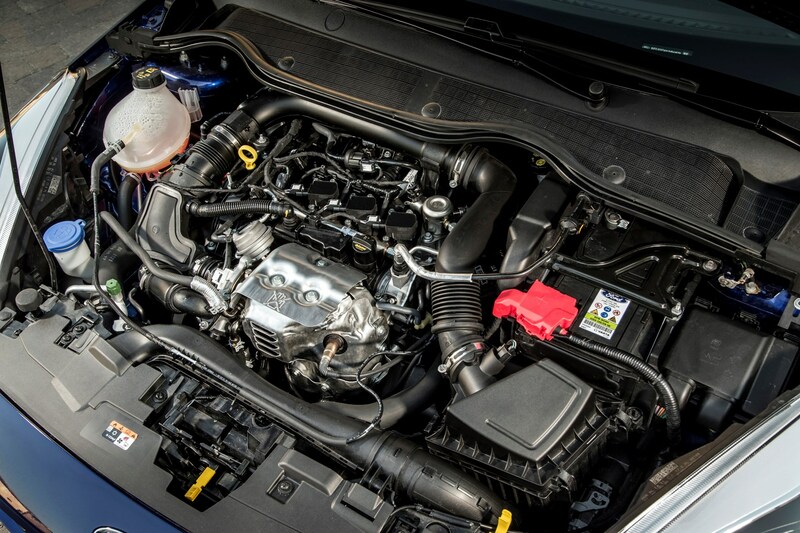 Here a 1.0-litre EcoBoost turbo, which marketeers deemed worthy of hauling a Mondeo along, has no trouble at all –140hp is more than enough for rapid, relaxed progress. 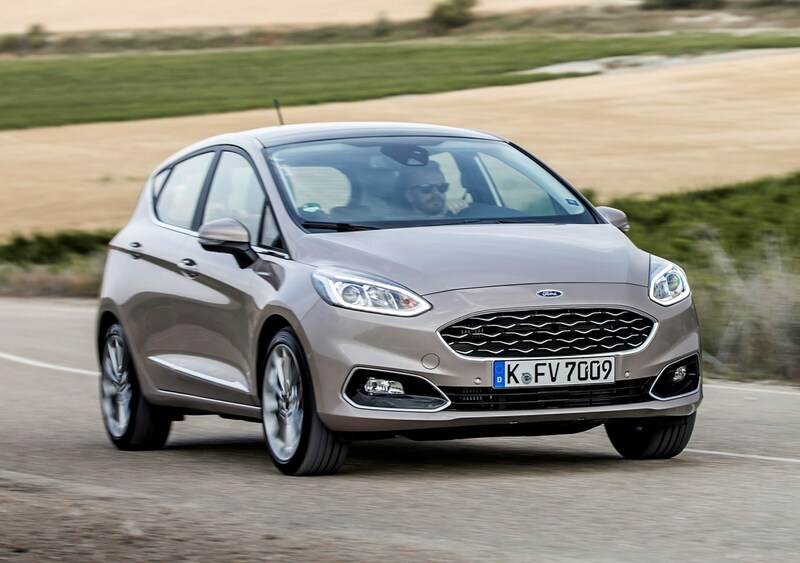 Precise cornering and exemplary body control make the Fiesta one of the best small cars currently available, regardless of driving style. Like its powerplant, its impressive underpinnings, which manage to keep a relatively short car composed on long runs, is shared with less ostentatious models. An ST-Line loses some of the decoration, but none of the core ability. Its 0-62mph time of 9.0-seconds is respectable, as is the top speed of 120mph. 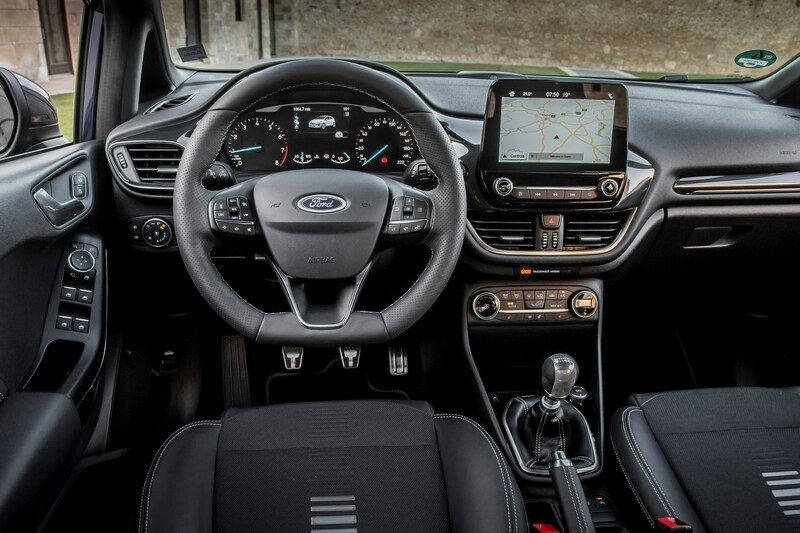 Where the EcoBoost shines is in overtaking at speed and overall refinement; in-gear acceleration is effortless. 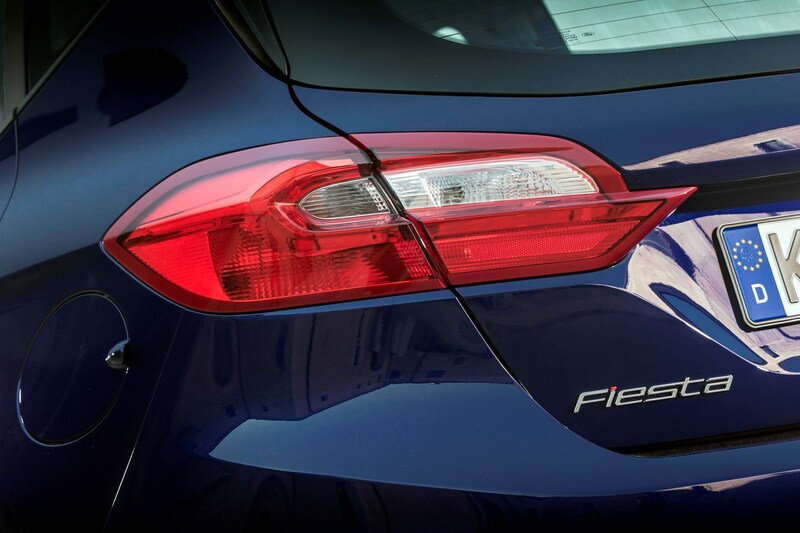 Which makes the Vignale very much about the additional equipment and perceived status. 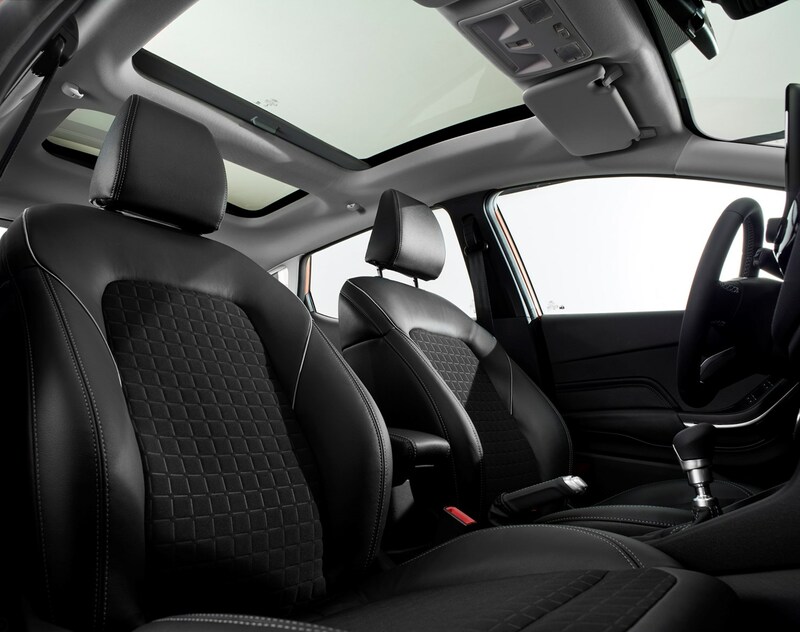 Beneath the standard-fit opening panoramic sunroof there are sculpted, stylish deep Black Ruby (read burgundy) leather seats and a heated steering wheel, as well as the usual excellent electrically heated windscreen, and modern conveniences such as keyless entry/start. 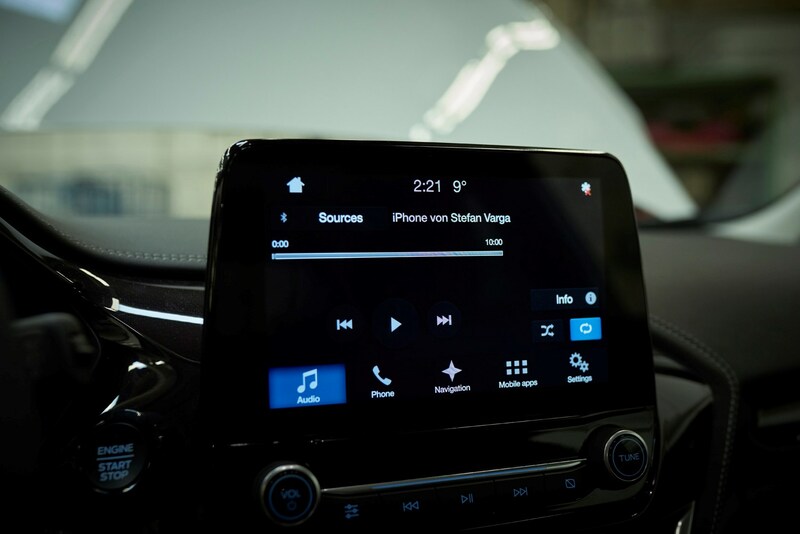 B&O’s Play Premium sound system is included with an 8.0-inch Ford Sync3 navigation system, Apple CarPlay/Android Audio and 10 speaker surround sound. 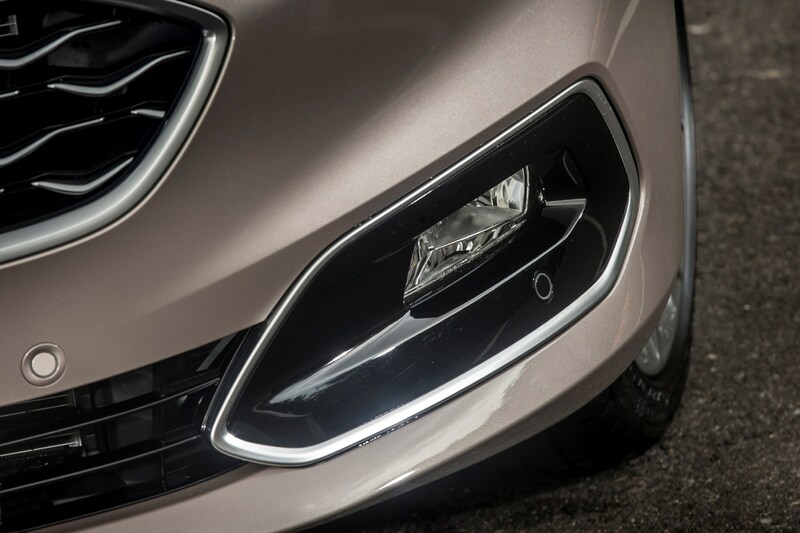 Externally the unique grille, badging and two exclusive colours add visual distinction – though other models in the range get more vibrant choices that are denied to the Vignale buyer. Not everything is included, though. While basic cruise control, a reversing camera and parking sensors feature, two enhanced driving packs at £200 each are essentials. 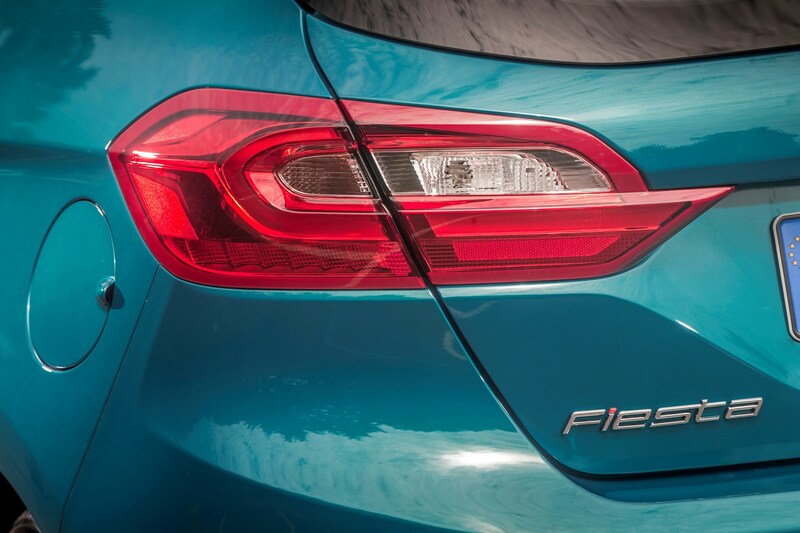 The first adds front parking sensors and a self-parking function, the second upgrades to fully adaptive cruise with lane-keeping – ideally suited to automatics, as the manual cuts out before standstill. Surprisingly blindspot detection is a cost option, despite the safety benefits, and not a cheap one at £350 on the Vignale. 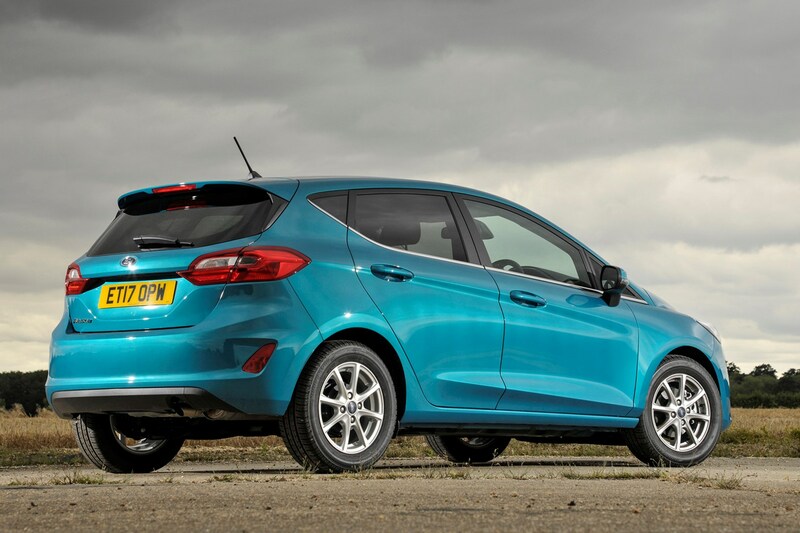 Fiesta – too good to upgrade? Success of a luxury item really requires two factors. First it has to be inherently good; a flimsy or poor quality product won’t last long on the market, and it’ll taint the brand. 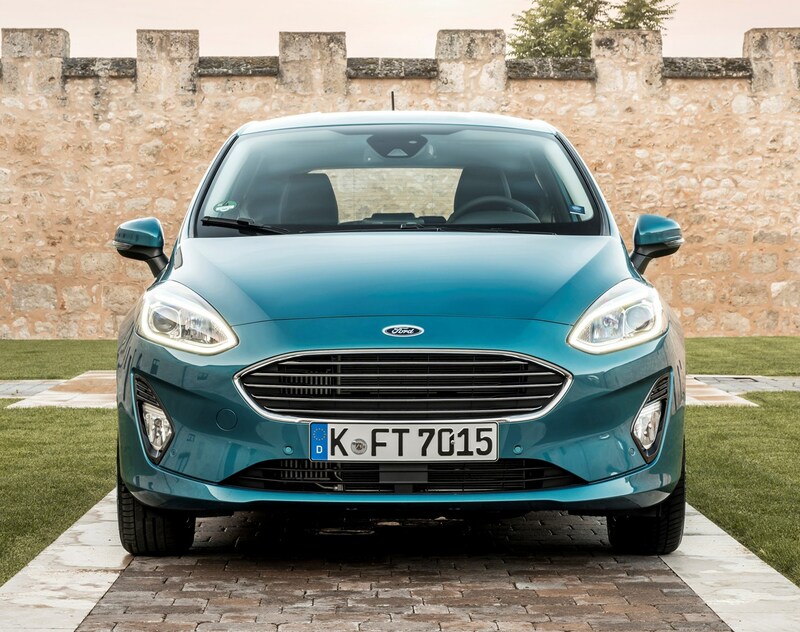 Ford has no worries here – the Fiesta is a brilliant little car. The second factor – the cachet of exclusivity and brand equity – is a little harder to achieve. 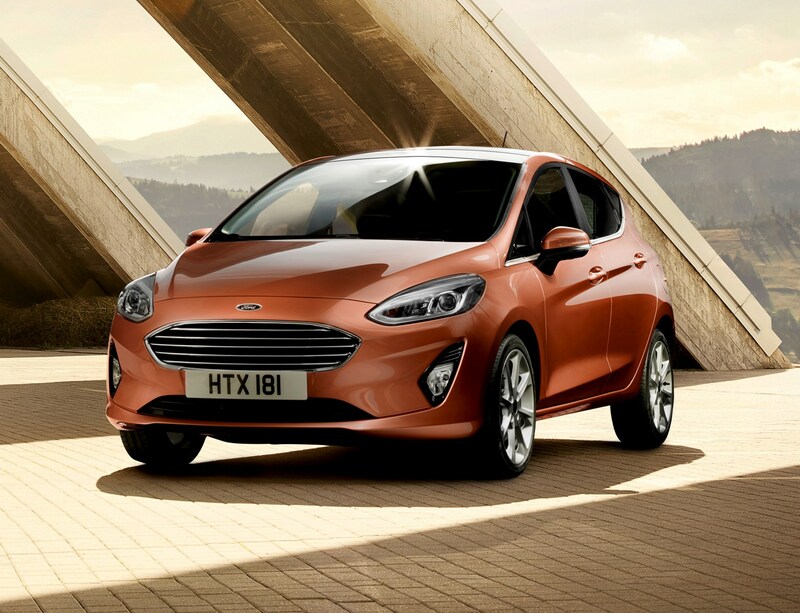 With the exception of the extensive, unadorned plastic surfaces on the doors, Ford has done enough to differentiate the higher-spec Fiesta and make it feel like a quality luxury car. What it lacks at this stage is recognition of the brand – without an aspirational halo model to showcase the name. 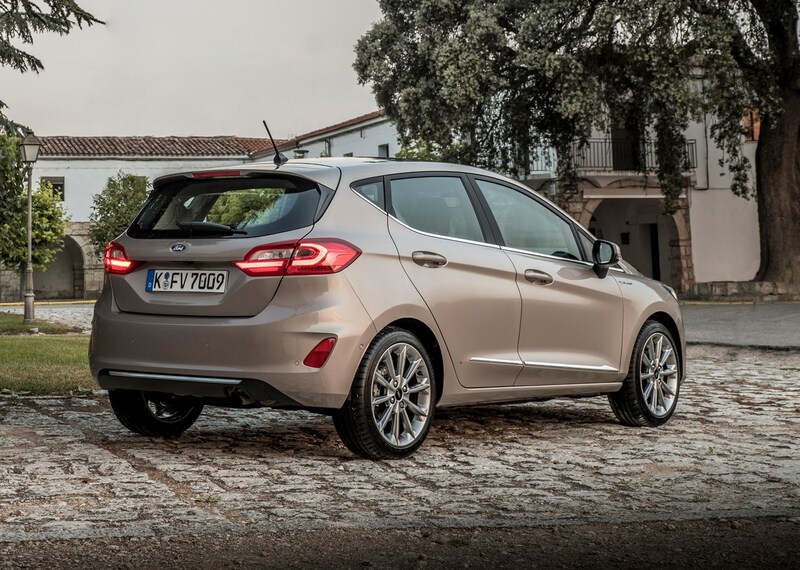 If city-based luxury buyers took a rational approach, the Fiesta Vignale would be at the top of their lists. 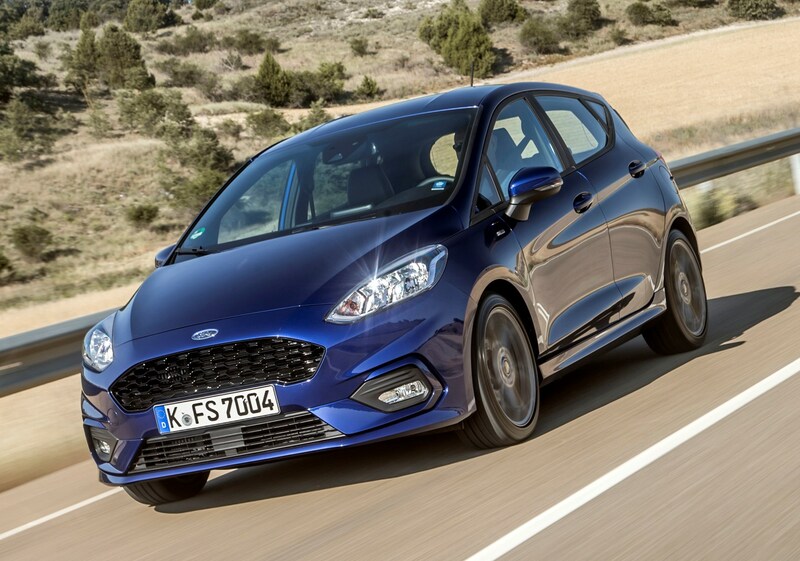 Until the feisty Fiesta ST hot hatch arrives in early summer 2018, this 140hp ST-Line X is as sporty as the evergreen Ford supermini gets. 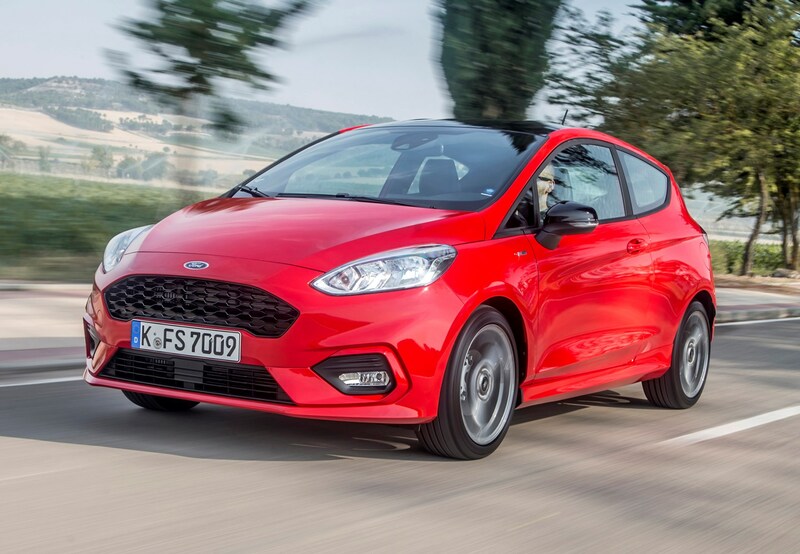 It’s a similar recipe to that which proved successful in the previous-generation Fiesta: take much of the aesthetics of the performance range-topper, but propel it with a suite of engines that have more modest running costs. 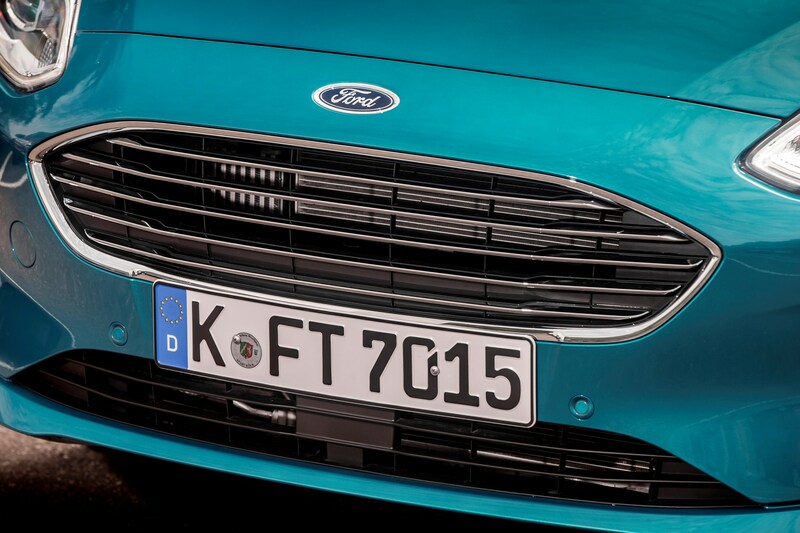 Here the ante’s been upped further by that X suffix, a familiar Ford marketing trick that dates back over 40 years. In layman’s terms it simply means it has extra equipment over the lesser ST-Line. Okay, so what extra equipment does that X get me? 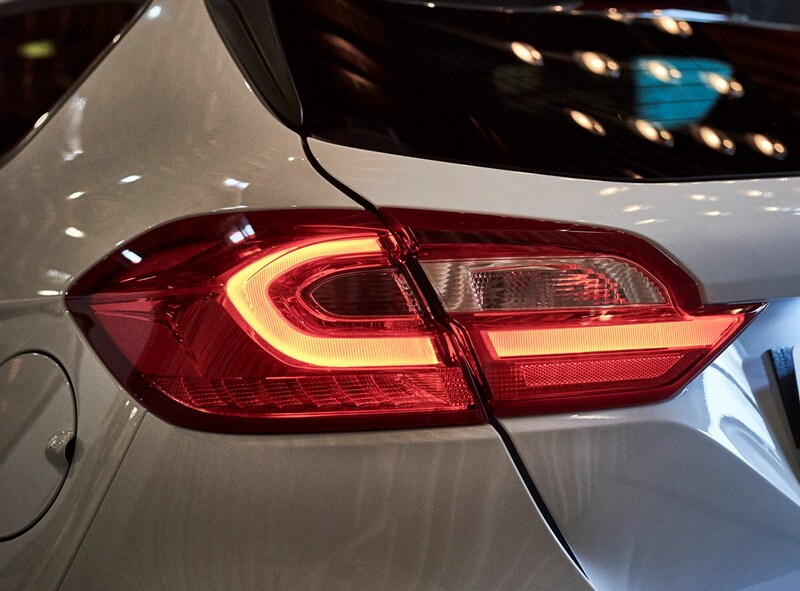 For an additional £1,400 (at the time of publication), that 24th letter of the alphabet nets you LED rear lights, electrically folding door mirrors with puddle lights, darkened rear privacy glass, automatic wipers and non-adaptive cruise control. 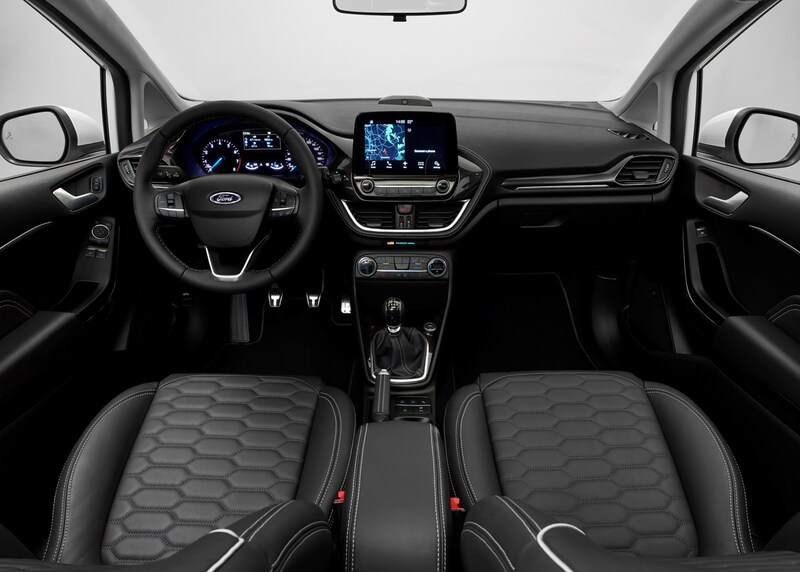 Slip inside this Fiesta and you’ll also spot the climate control function for the air-con, a central armrest, part-leather seats, a 4.2-inch screen in the instrument cluster (not a patch on the VW Polo’s Virtual Cockpit) and an 8.0-inch tablet-style touchscreen for Ford’s Sync3 multimedia system. 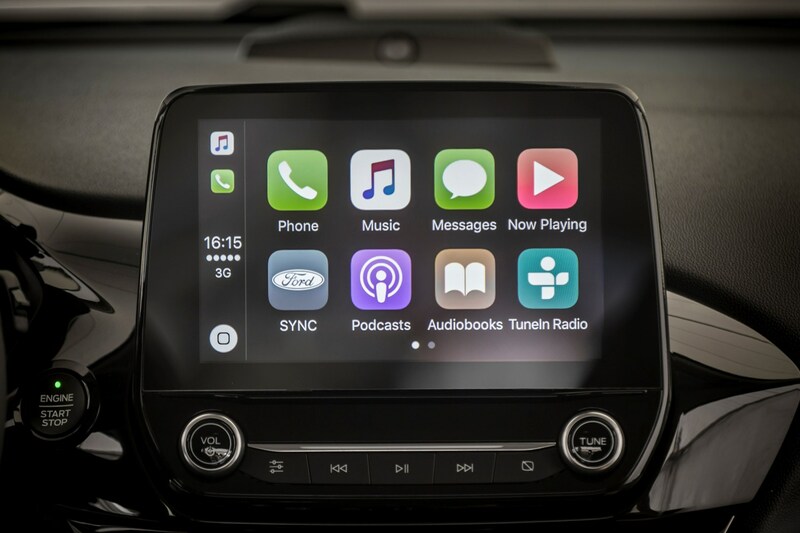 A word of warning regarding that infotainment display: while the graphics are clear and it works seamlessly with Apple CarPlay and Android Auto, it’s a faff to use because there’s nowhere to rest your hand before prodding at the screen. 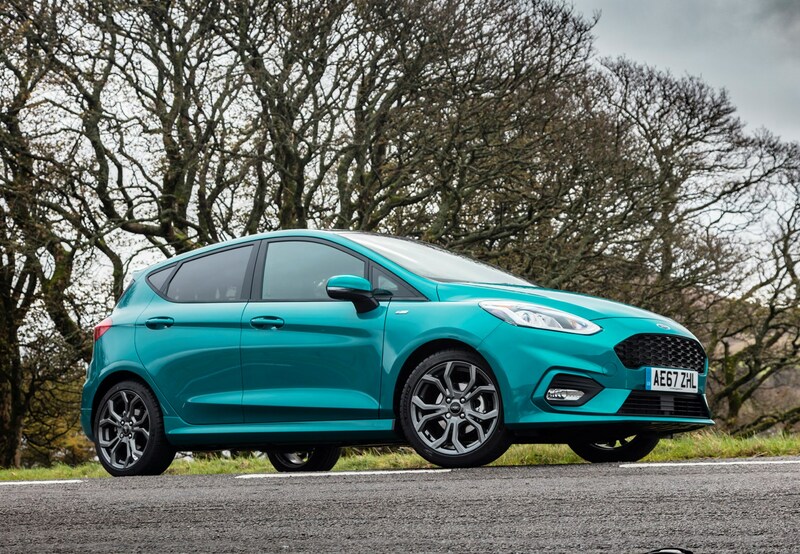 This is a minor – albeit frequently experienced – gripe, but it pales into insignificance given how well the Fiesta ST-Line X drives. 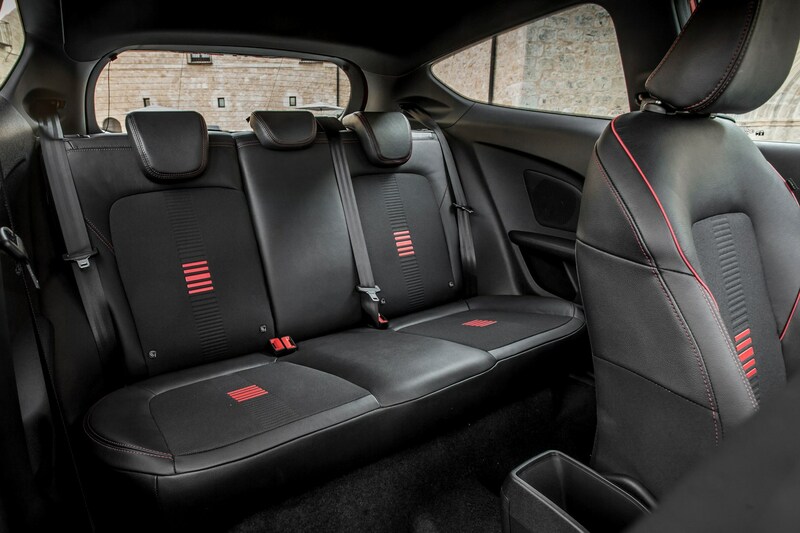 Finally, for a further £150 you can have all those anodised scarlet accents in your cabin as part of the ST-Line X Red Pack. 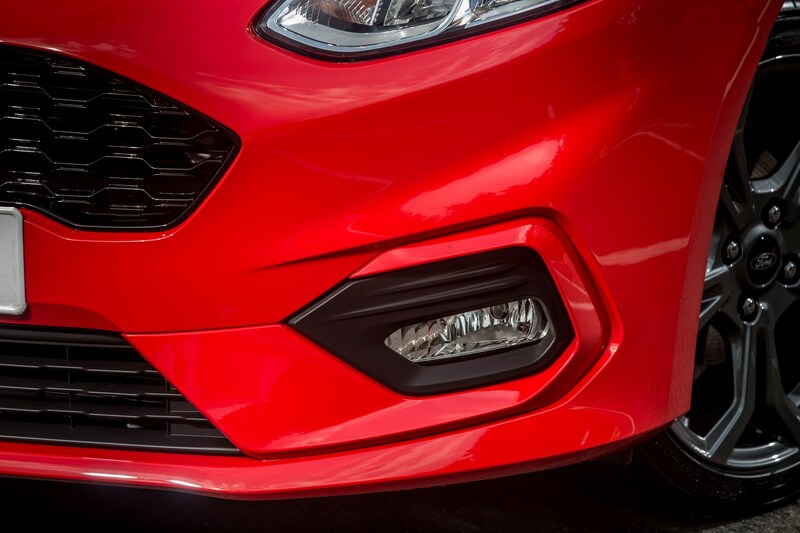 Is the ST-Line X all bark and no bite? 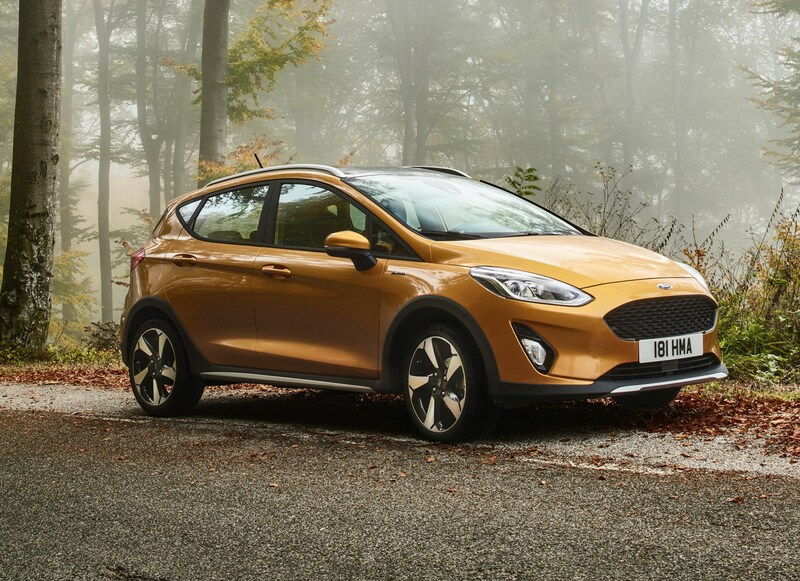 Star of the show is the turbocharged 1.0-litre three-cylinder EcoBoost engine: its 180Nm of torque is hardly headline-grabbing, but given its availability across the rev-range, you can zip along tight, winding B-roads without stirring the six-speed manual gearbox too much. Press on to the national speed limit in third gear and there’s a grin-inducing fruity rasp from the exhaust. It certainly aids with the impression of being quicker than its 9.0-second 0-62mph time suggests. 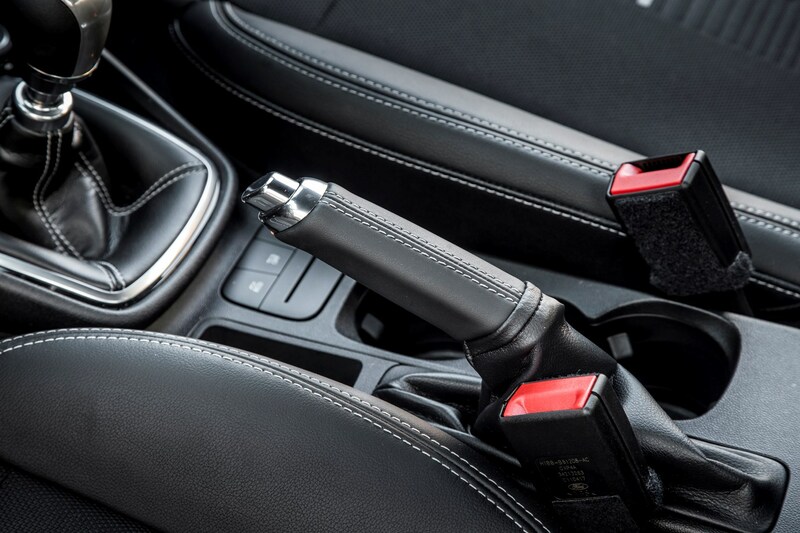 When you do need to swap cogs, there’s a deliciously slick action to the manual lever, with a well-judged weight to the operation that feels in tune with the clutch. 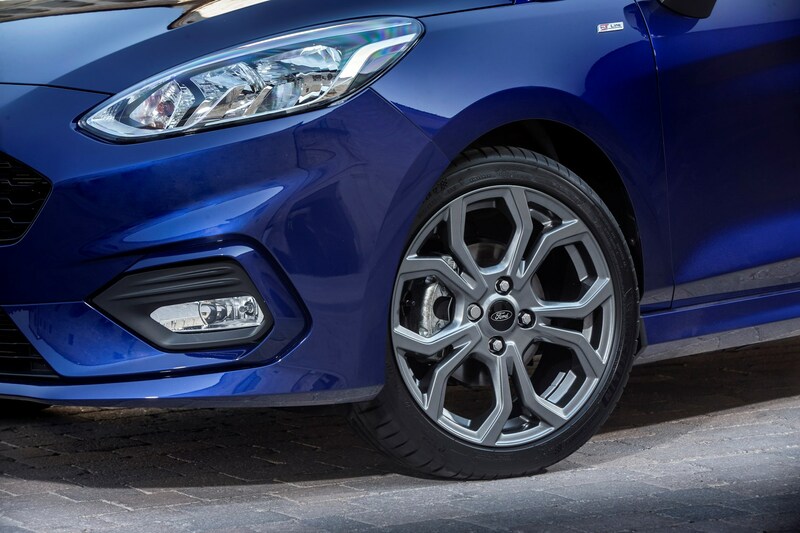 One aspect of the previous generation of the Fiesta ST-Line with this engine was that the brakes lacked sufficient stopping power given how enthusiastically its accessible performance encouraged you to drive. Here there are no such worries. On the wet and twisty conditions of our initial test, the beefed-up brakes were more than capable of being called upon repeatedly, allowing you plunge deeper into corners and carry more speed through bends. Keener drivers will be largely sated here. Only largely? 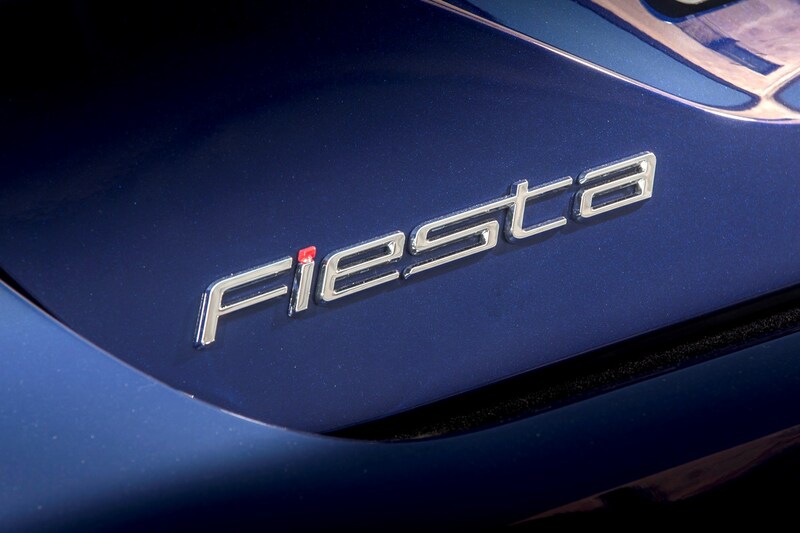 Is there a fly in the Fiesta ointment? Well, while the steering is still communicative, it’s lighter-weighted this time around, making it feel a little less involving – although the increased assistance will inevitably pay dividends when nipping about in urban areas. 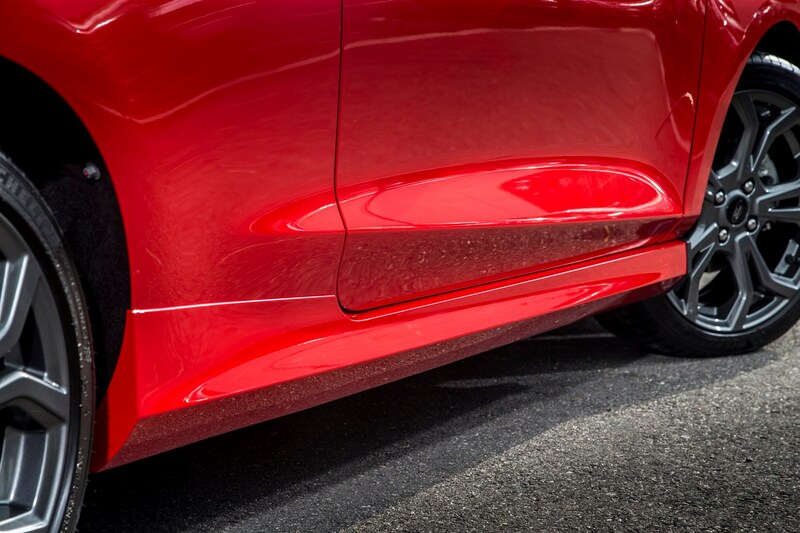 There’s also a considerable amount of tyre noise over rougher asphalt surfaces that reverberates around the cabin. 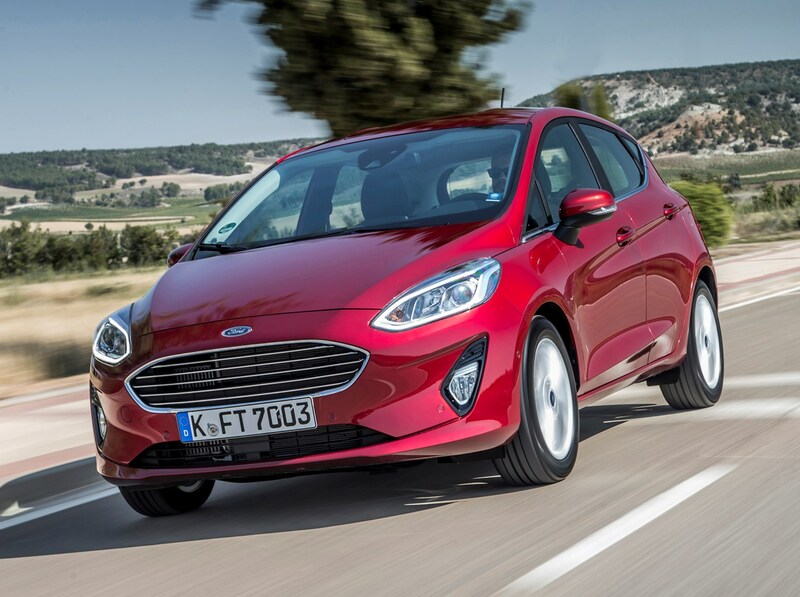 More positively, the ride remains comfortable and compliant over bumps, yet the Fiesta remains taut and controlled when changing direction at speed. 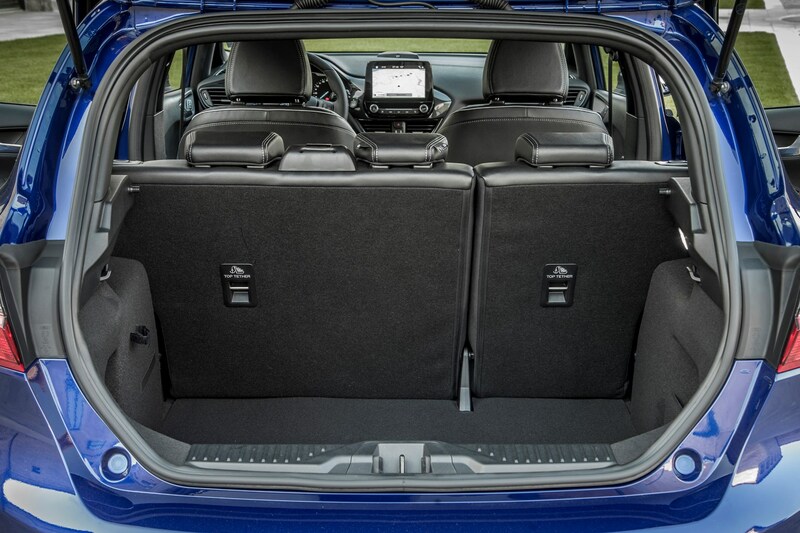 And, in common with all Fiestas, the MPV-like angle of the thick windscreen pillars can impair your sightlines around twisty country roads. Okay, but is it cheap to own? 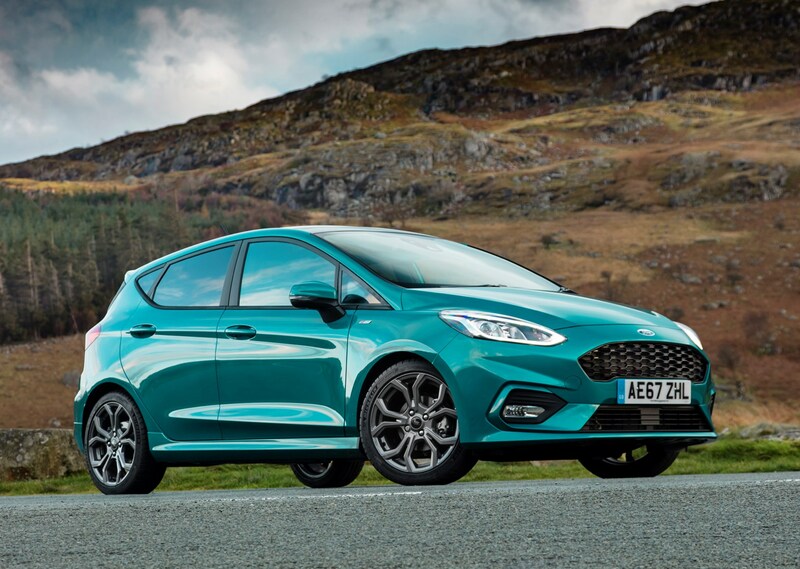 Ford claims an extraordinary 62.8mpg for the Fiesta in this guise, a figure you’re unlikely to achieve in the real-world. More spirited driving yielded an indicated 42mpg according to the trip computer, so piloted a little more sympathetically a figure in the high-40s would be manageable. That should be higher than the potent ST manages. While the ST-Line X fulfils its brief of being a fun-to-drive, sporty-looking supermini, its running costs aren’t as low as we were hoping. 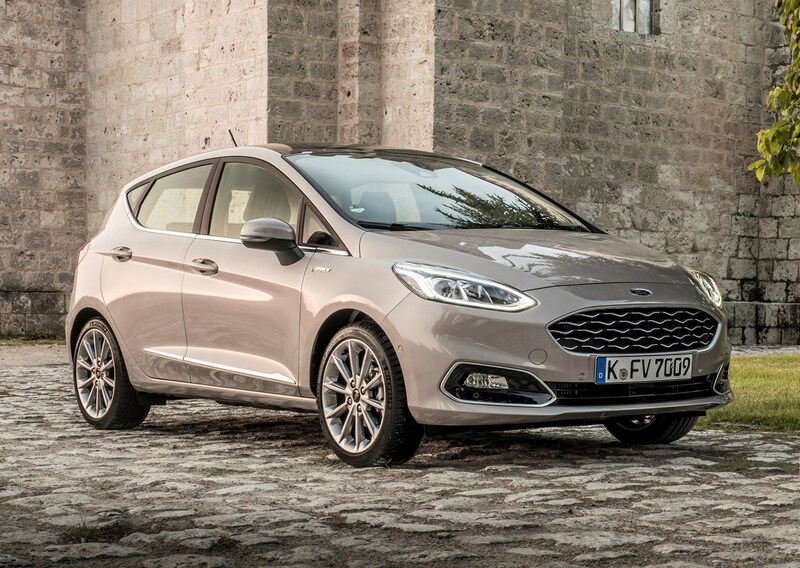 Factor in an £18,745 asking price (November 2017) for this three-door version – close to what we’re expecting the full-on ST-1 to cost – and you’re faced with a fast Ford dilemma. Our advice? If you can wait until the fully blown ST’s arrival before making a decision, do it, otherwise go for a more frugal 125hp version. 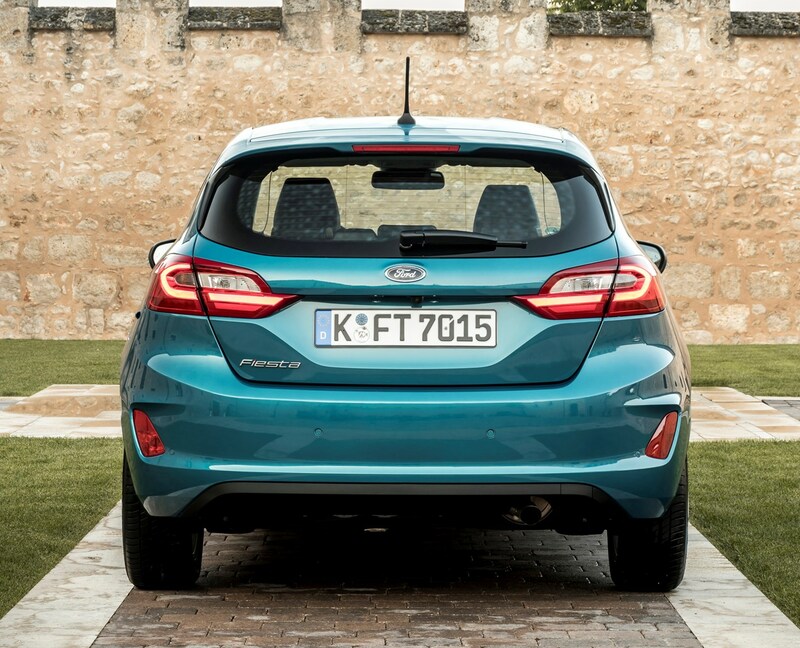 This model is likely to be the bestselling Fiesta of them all, and it comes as no surprise that it puts in a very assured performance. 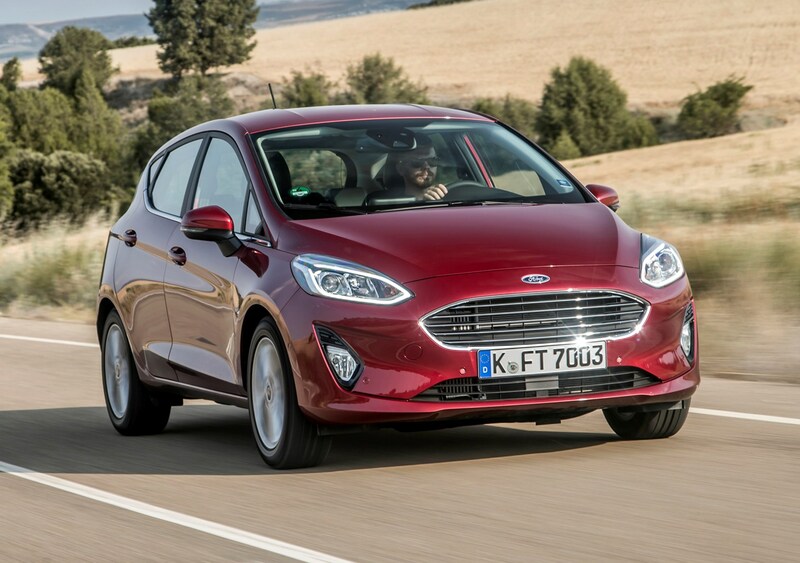 In town, the steering is weighty but far from heavy, and gives the driver plenty of confidence to place it with accuracy – a great quality for a city car. Away from the city, it feel grown up. Despite being a touch rattly at start-up, the 1.0-litre engine is hushed at A-road and motorway speeds, helped along by relaxed gearing. At 70mph, it's barely ticking over – which is nice until you're slowed by another vehicle and then find yourself dropping to fifth gear in order to pick up speed again. It's quick on paper, with a 0-62mph time of 10.5 seconds and a maximum speed of 113mph. The tall gearing blunts performance at A-road speeds, so most of the time, you're best off treating fifth gear as top, and sacrificing ultimate fuel consumption. For those who just want to get from A-to-B, this relaxed gearing will be perectly suitable, and if you want to turn up the pace, it's punchy enough as long as you're happy making liberal use of the gearbox. 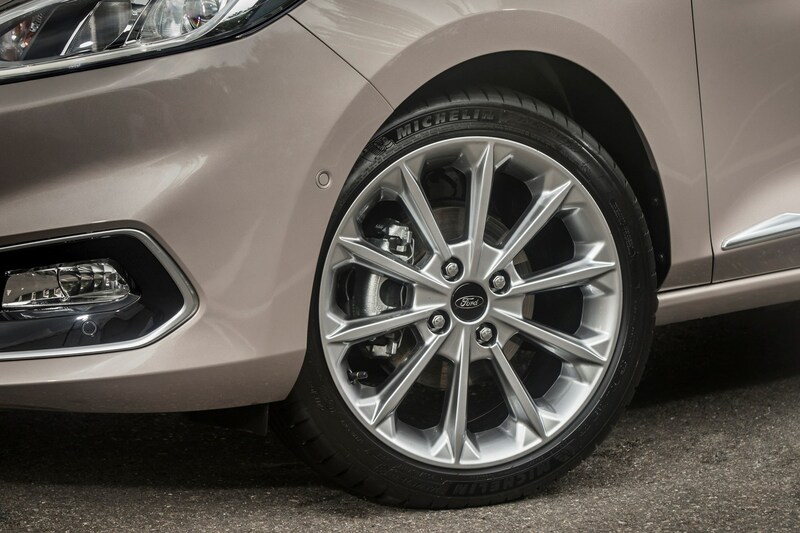 On this car's 15-inch alloy wheels, ride quality is very impressive – so much so, that it feels like a much larger car, settling down nicely on most roads. Only a slight lack of body control stops it getting a perfect score in this area. For instance, sharp road irregularities make their presence felt, and undulations can cause it to pitch and wallow. 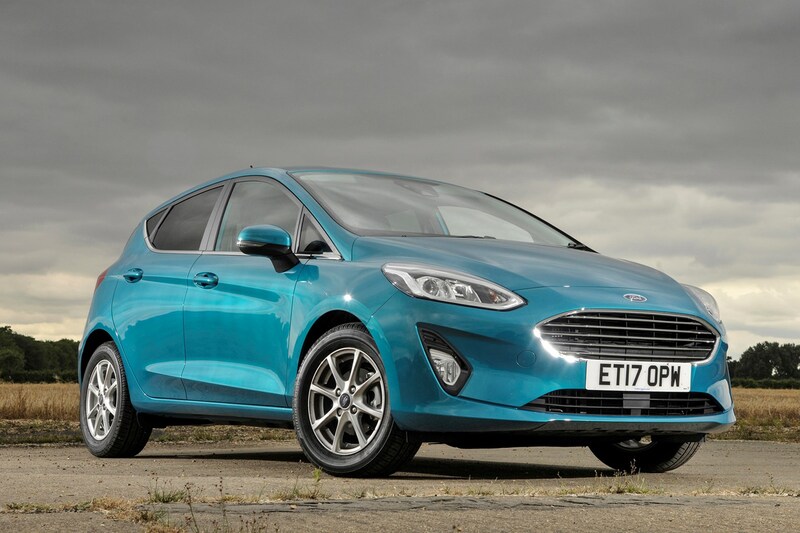 Should I buy the Zetec in 100hp form? Very much so. 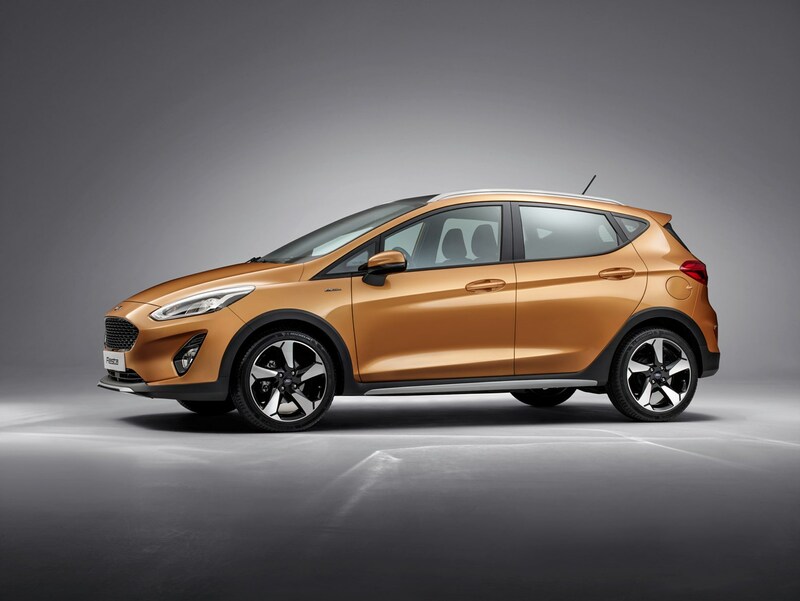 It's as practical and likeable as any other Fiesta, but with a dose of low running costs, excellent fuel consumption (official figure is 65.7mpg), and a low sticker price. 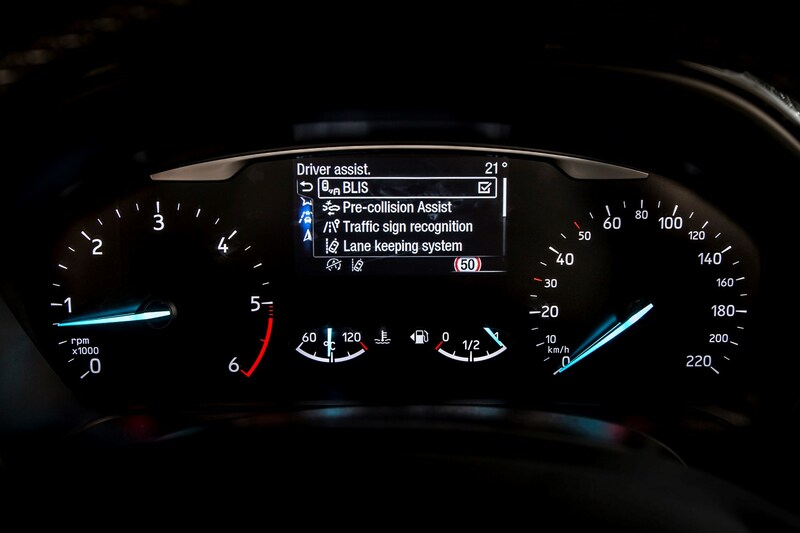 Our car was fitted with the £400 Driver's Assistance Pack, which includes automatic high-beam for the headlights, pre-collision assist, distance alert and active cruise control. Our advice is that's money well spent. 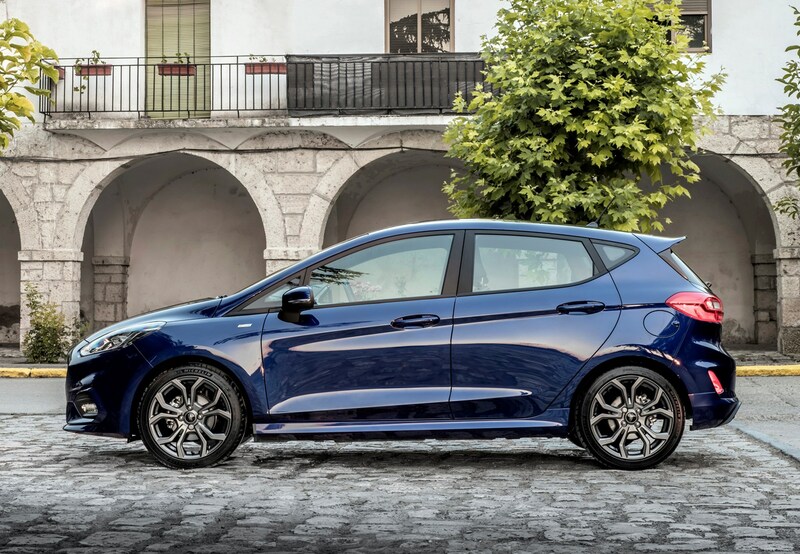 Until the sportier Ford Fiesta ST arrives in 2018, the ST-Line version of the Fiesta is the zippiest of the bunch. It certainly looks the part, with 10mm lower suspension, 17-inch wheels and its bodykit, but crucially on the road it’s a highly impressive set-up. 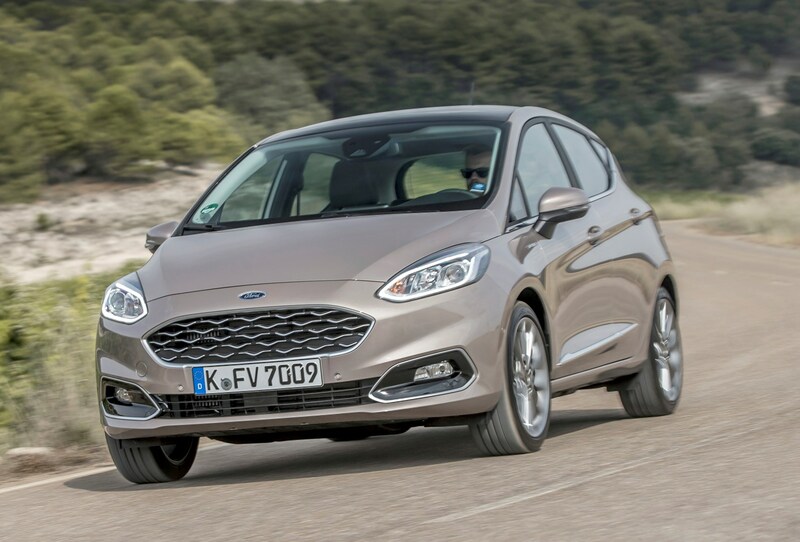 Ford has dialled out some of the steering’s resistance in the eighth-generation Fiesta, meaning it’s less effort when driving quickly, but it’s super-responsive when you want to change direction and does weight-up at speed so you’re always confident the car’s going to do what you ask of it. How does it handle and ride? 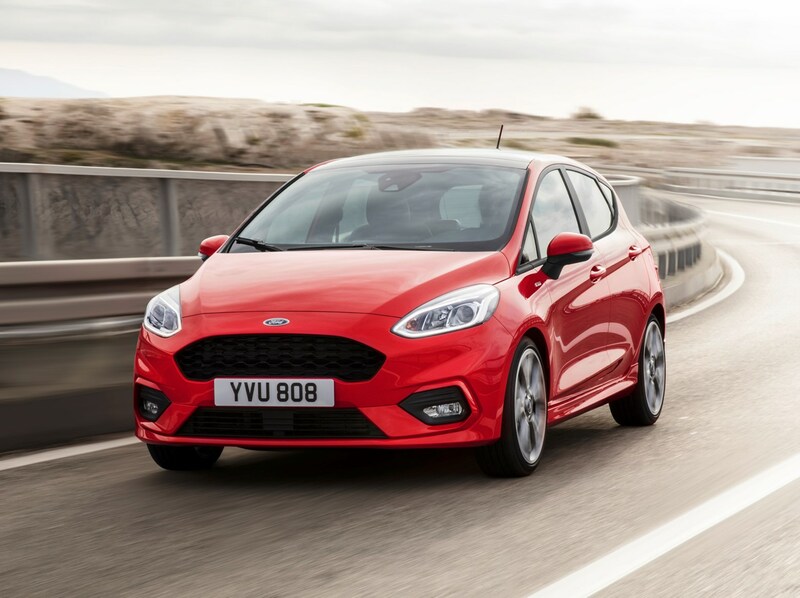 That lowered suspension doesn’t appear to have much effect on the Fiesta’s comfort levels either, with compliancy over speed bumps, rutted roads and even gravel. 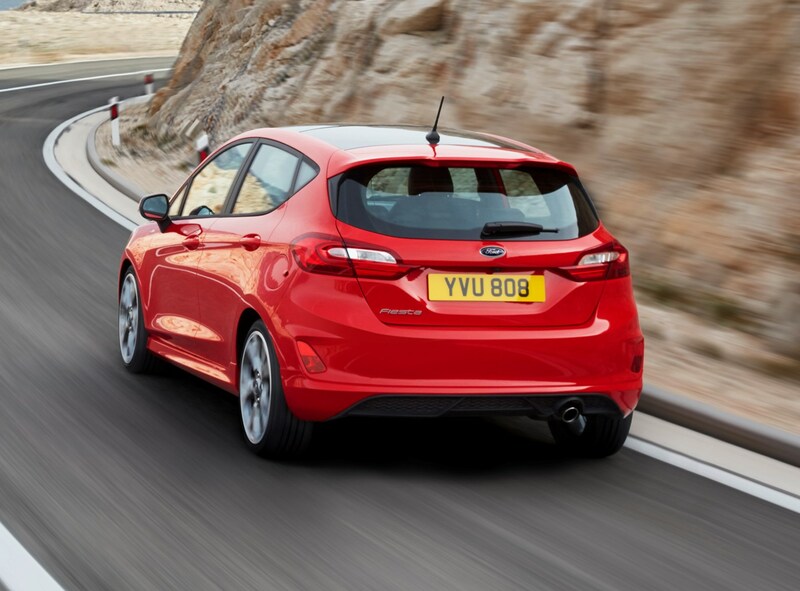 It settles down almost instantly following a bump, so you’re always feeling like the ST-Line’s ready for the next bend. 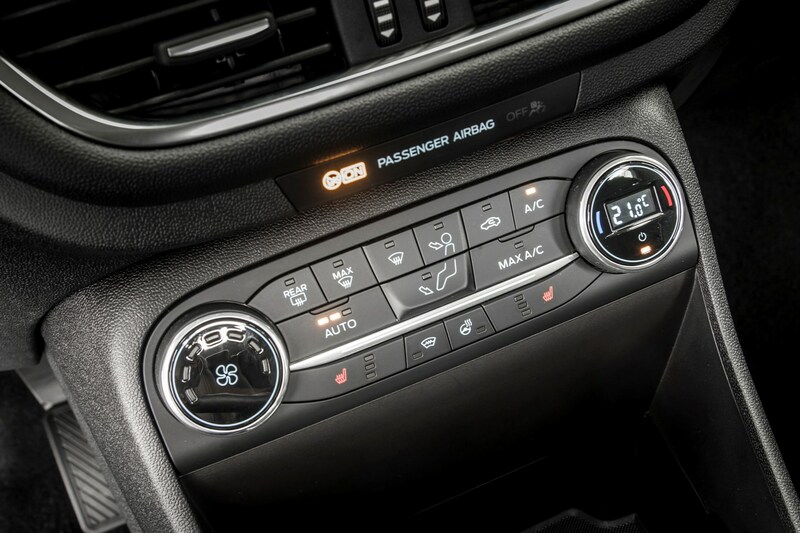 The sports seats are supportive but don’t pinch, and we’re impressed with the Sync 3 8.0-inch touchscreen infotainment system that’s standard on higher-spec models. 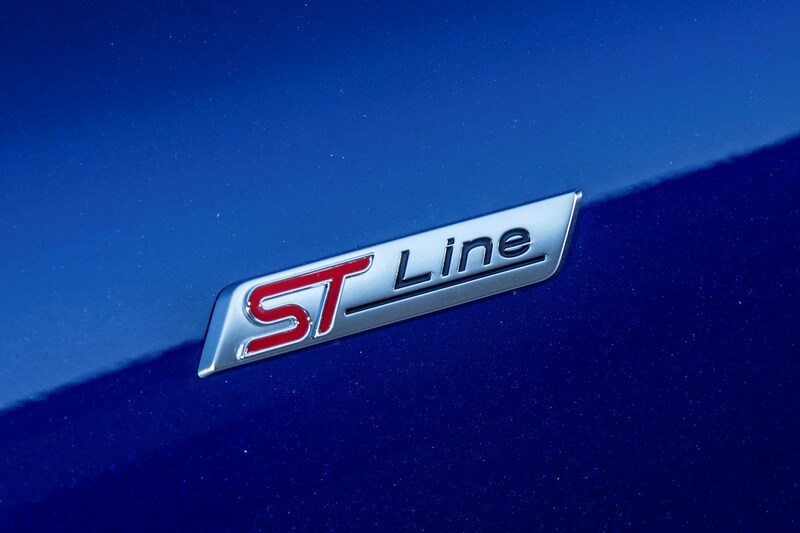 Does the ST-Line go as well as well as it looks? Our car’s equipped with the 140hp version of the 1.0-litre EcoBoost, and while it’s not going to be the most popular motor in the range (the 15hp less powerful version gets that honour), it’s definitely the one to pick if you’re a keen driver; until the aforementioned full-fat ST comes out, anyway. 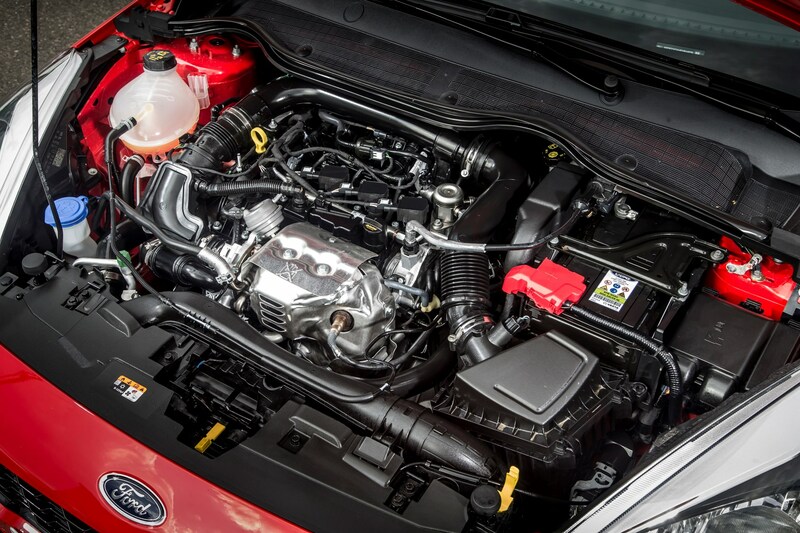 This engine has been around for a long time now and it’s clear Ford has put a lot of work into smoothing out the power delivery that can sometimes feel a little lumpy on other three-cylinder engines. 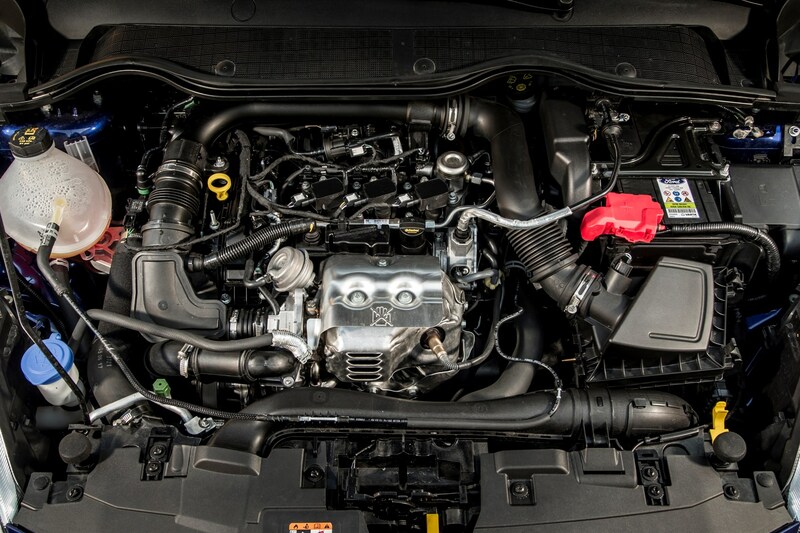 Its turbocharger gets going extremely quickly too, which means there’s impressively sharp response from pushes of the accelerator. 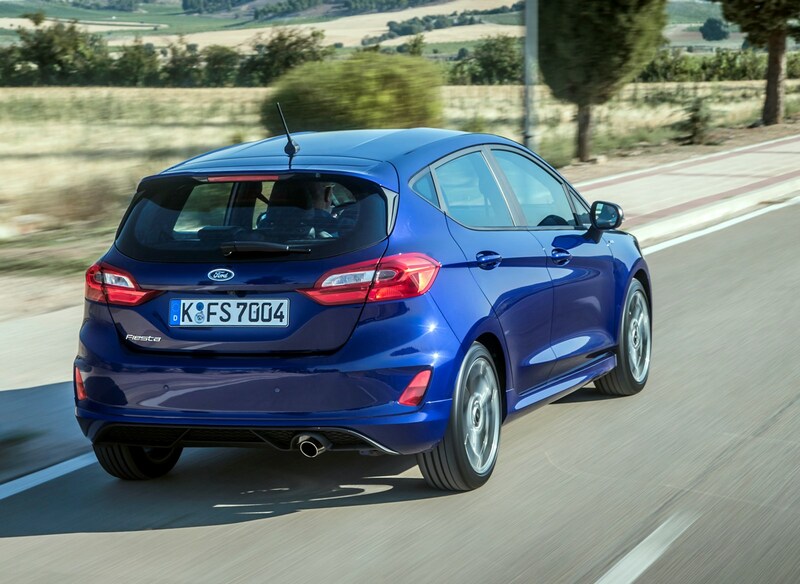 We found the six-speed manual gearbox as solid-feeling and rewarding as it was in the previous Fiesta, so no gripes there either. 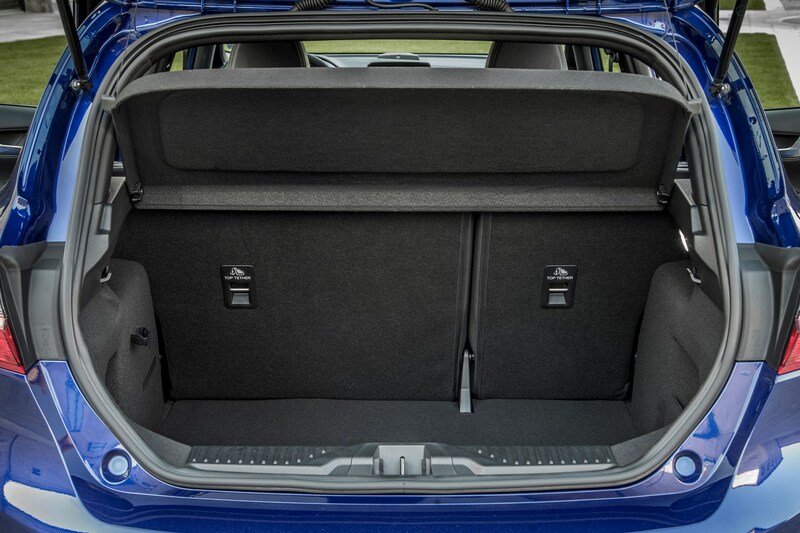 Overall, you won’t be disappointed with the ST-Line Fiesta in this specification. 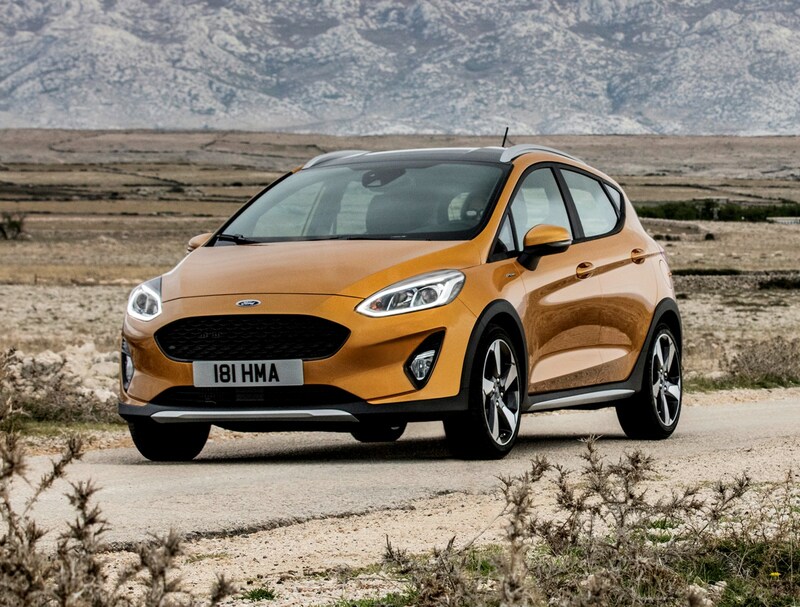 It’s going to account for a minute proportion of overall sales, but that doesn’t mean it isn’t without myriad merits – especially if you love to drive. 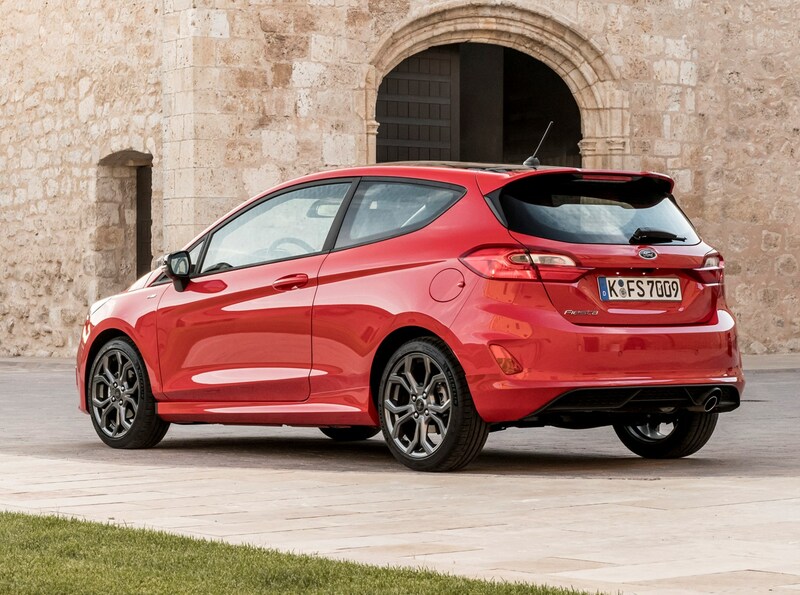 At the top of the Fiesta line-up for those not interested in the sporty ST-Line, Ford has produced a luxury-focused Viganle model. 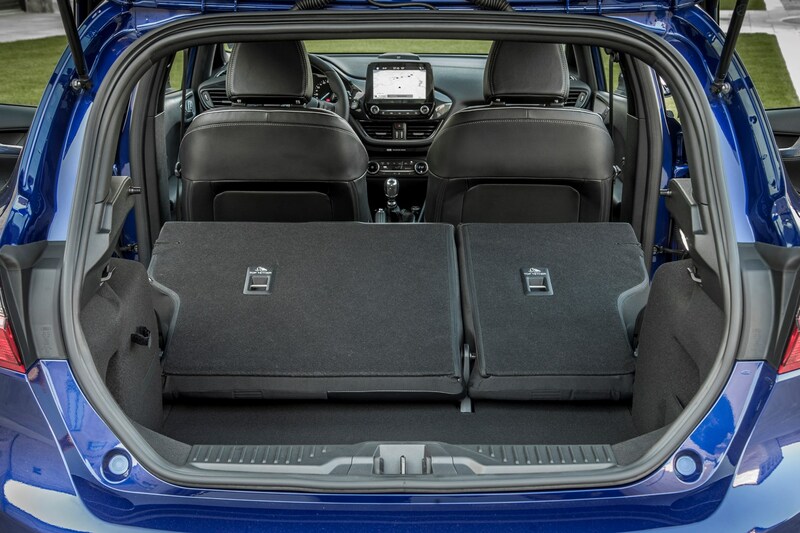 Similar in spirit to the Kuga, Edge, S-Max and Mondeo Vignales, it’s festooned with posh leather upholstery and the very best of the kit on offer on the Fiesta. 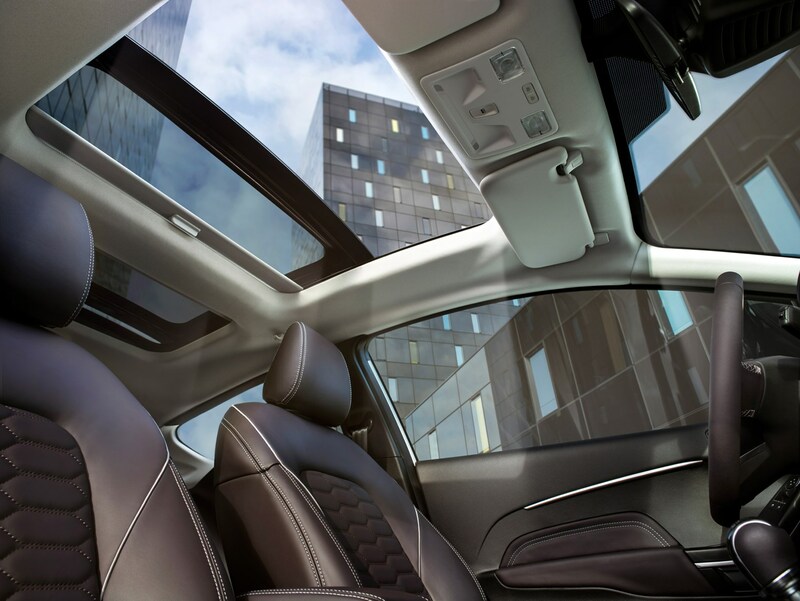 The standard equipment tally includes an opening glass panoramic sunroof – and that’s the primary reason to avoid it if you want adults to sit in the back. We found the lower ceiling height relative to non-sunroof-equipped cars made it actively uncomfortable for six-foot-tall humans to sit line-astern in the Fiesta. This isn’t an issue otherwise. However, the other upgrades you get are slightly more compelling. 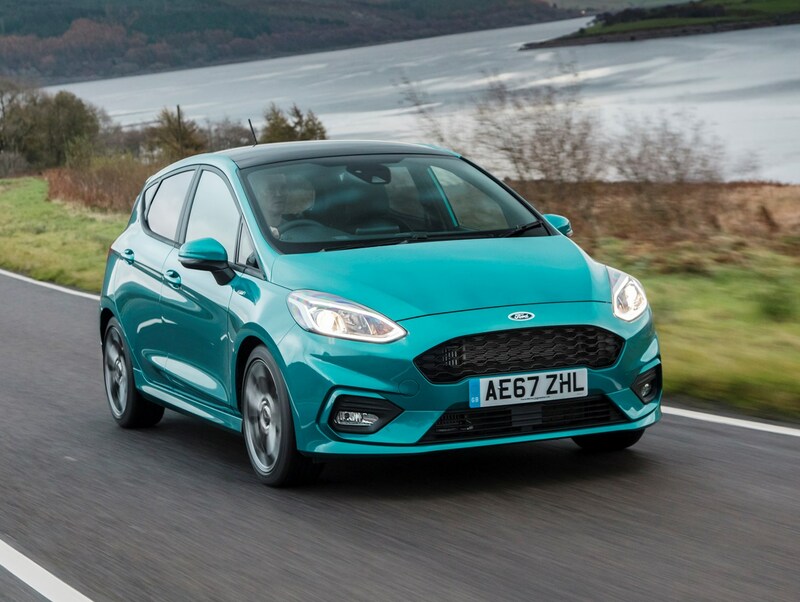 The exterior styling pack is attractive enough, and as long as you pick the right colour it separates it from the rest of the Fiesta’s line-up nicely. It’s inside where you get the real improvements. 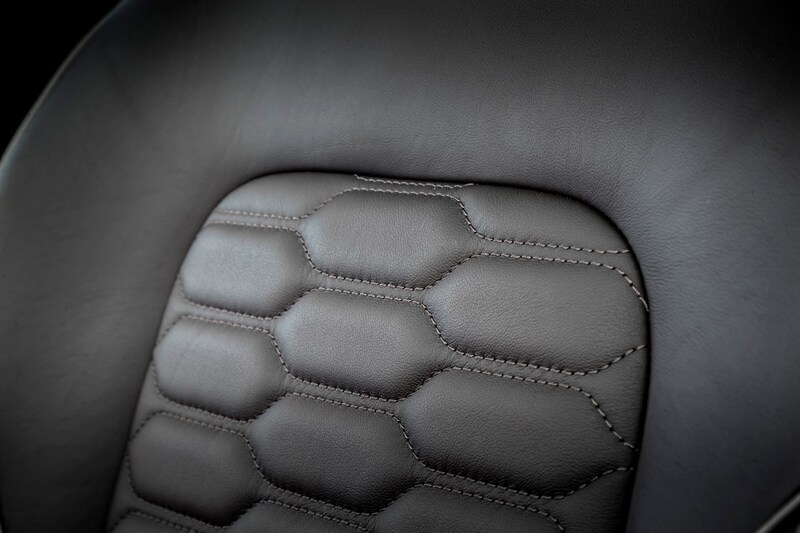 The quilted leather seats are as good to look at as they are to sit on, and are heated in the front as standard – as is the steering wheel. 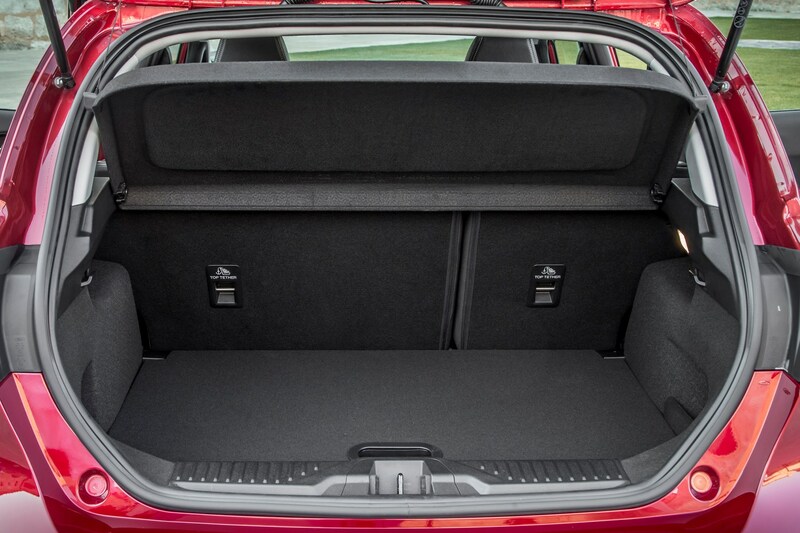 A rear-view camera and acoustic rear parking sensors make parking trouble-free, and the ride quality on its exclusive 17-inch alloy wheels was fantastic. 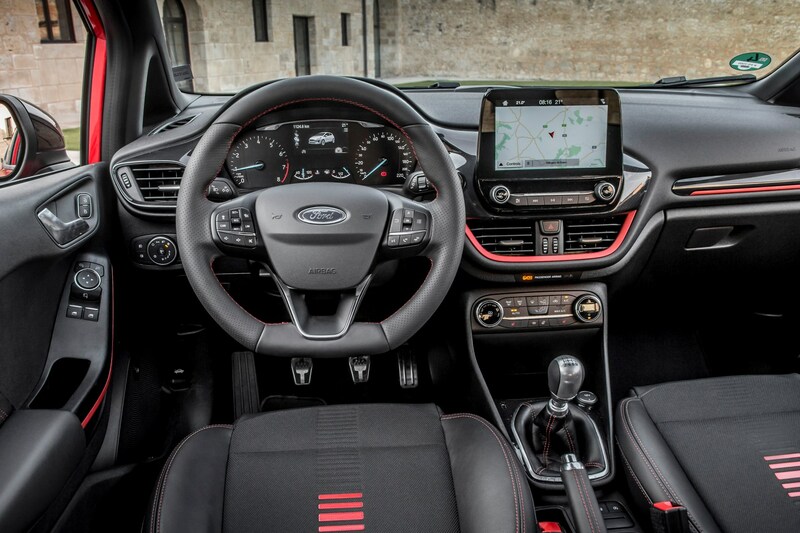 In the Vignale you’re treated to the Sync3 infotainment system with the largest 8.0-inch touchscreen. This works quickly and intuitively, flicking through menus easily and zooming in and out of maps on the navigation almost perfectly – the sign of a powerful processor. You get the B&O Play uprated speaker system too, which has 360-degree surround sound and eight high-end speakers, resulting in crisp and deep sound quality. 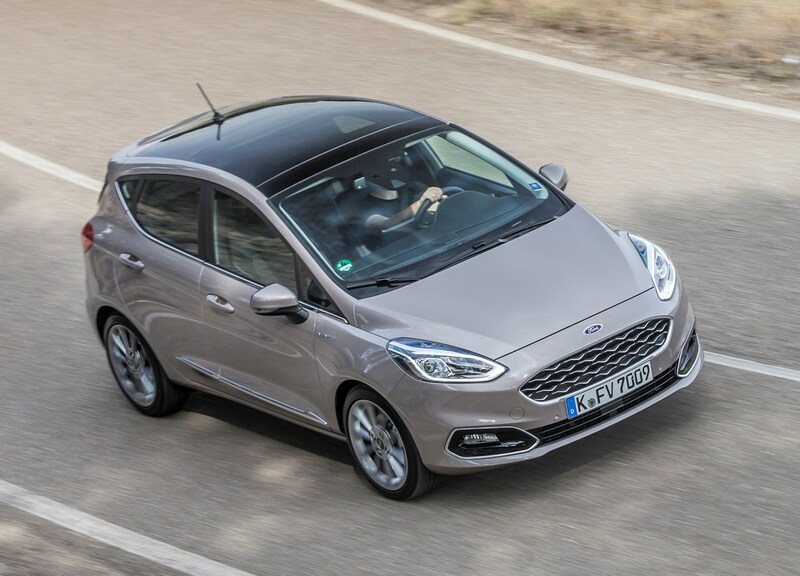 March 2017 – Eighth-generation hatchback available to order for July delivery (Vignale and ST-Line from November). 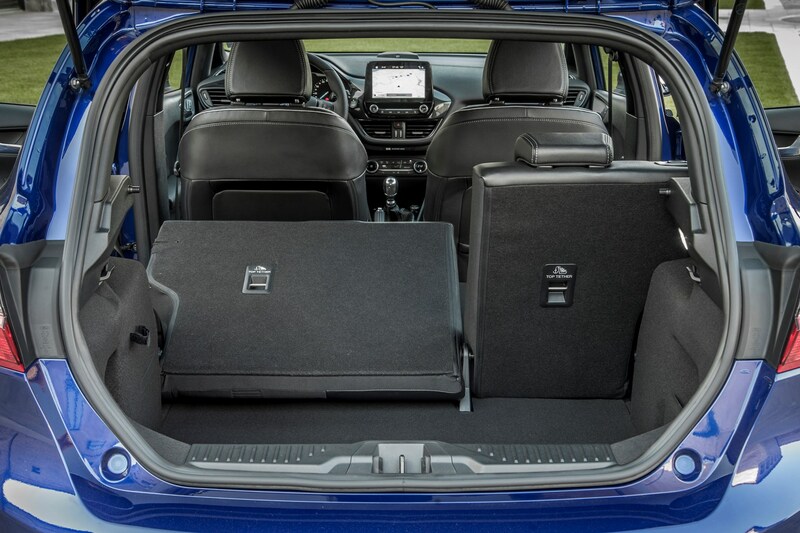 Broad range of trim levels available initially, starting with Style and progressing up through Zetec, B&O Play Zetec Series, Titanium, B&O Play Titanium Series, Titianium X, Vignale, ST-Line and ST-Line X. 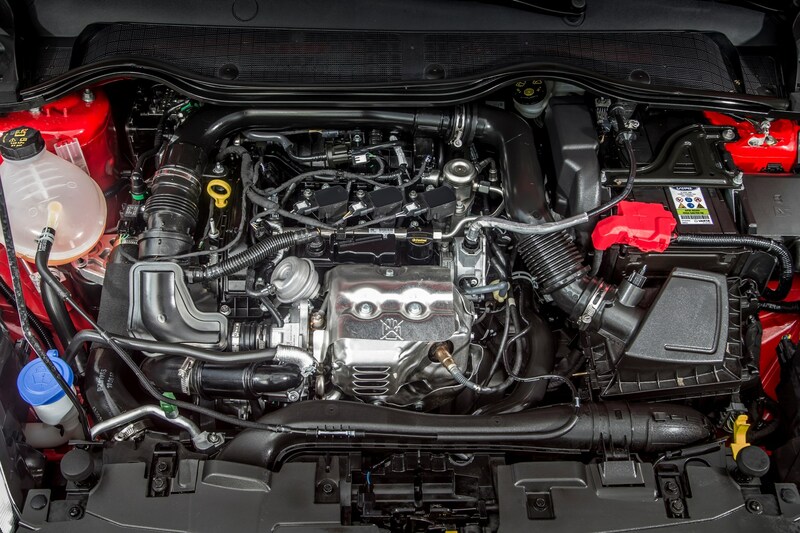 Petrol engines include two versions of the 1.1-litre Ti-VCT and the 1.0-litre turbocharged EcoBoost in three power outputs. 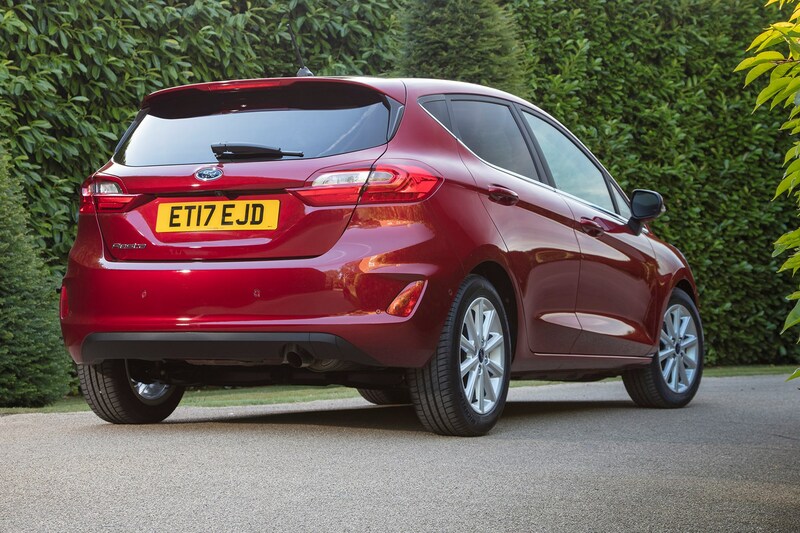 Two editions of the 1.5-litre TDCi diesel are also available. 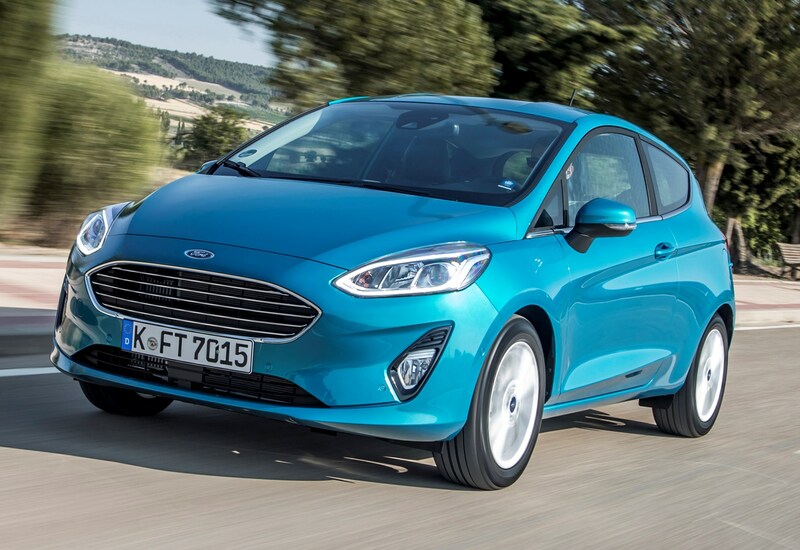 We’re expecting the Ford Fiesta to sell in huge numbers, but the most popular version is a Zetec car with the 100hp 1.0-litre EcoBoost engine, manual gearbox and five doors. However, we think the smart money is on upgrading to Titanium if your budget will stretch, because you get huge amounts more kit. It’s worth seeing if the salesperson will meet in the middle here, as they may be keen to do a deal simply to shift more cars. 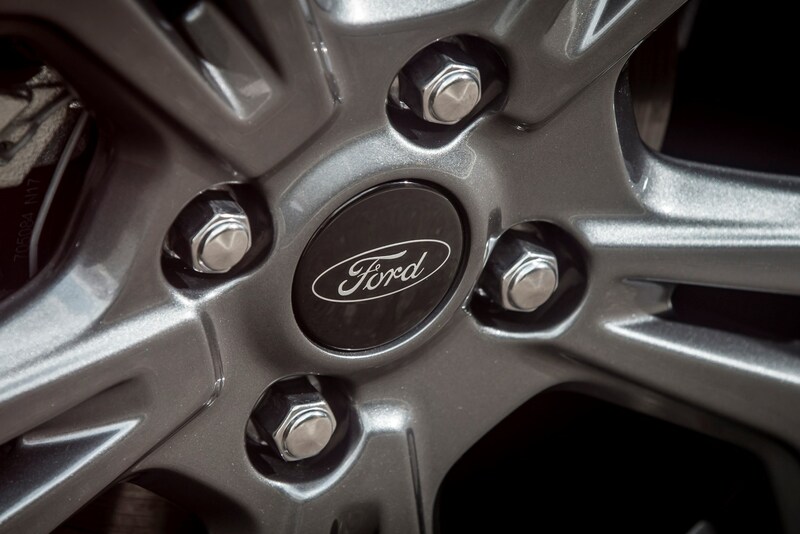 Ford has a vast dealership network too, so be prepared to travel for a better deal if your local one doesn’t want to play ball. 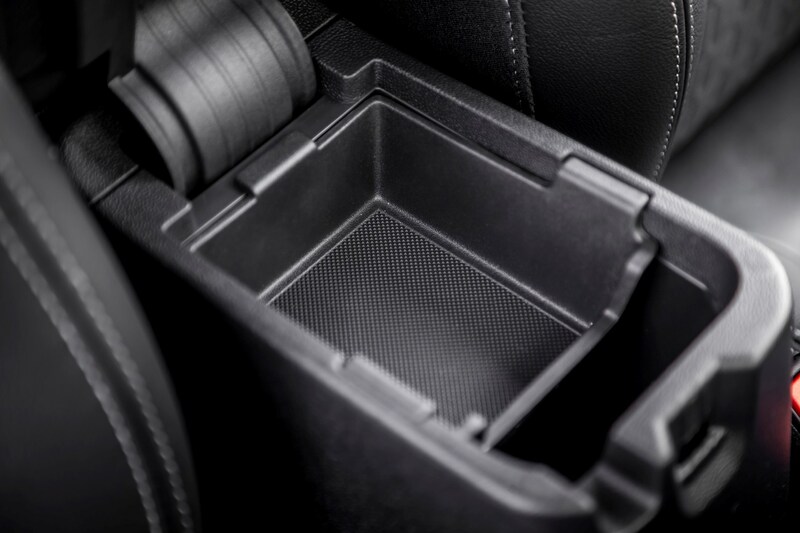 Avoid optional extras that’ll make the car difficult to sell. 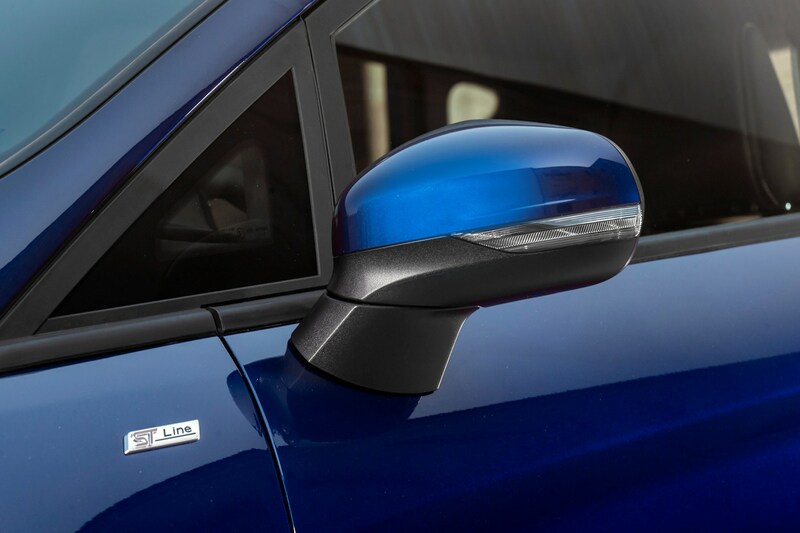 Strange colours for the contrasting roof and door mirrors is a classic example: a blue body and red roof might appeal to you, but it’ll make your car almost impossible to sell on when you’re finished with it. There’s going to be a lot of choice out there. 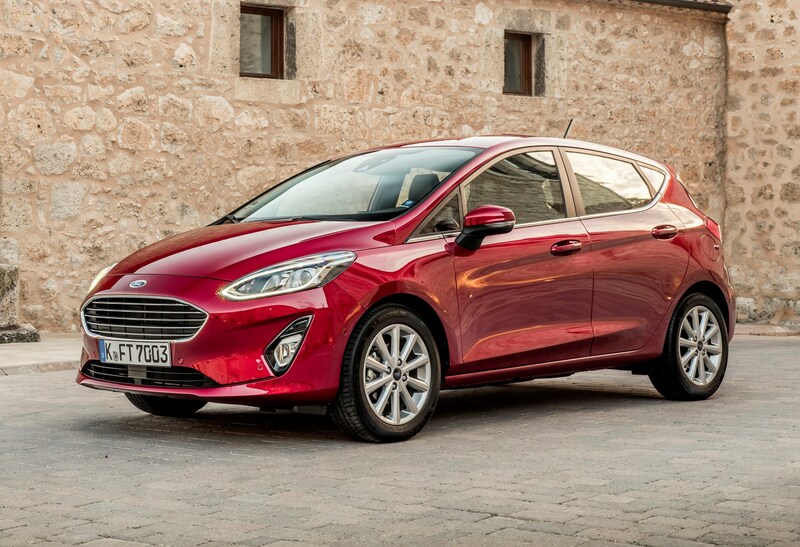 Here's how much the Fiesta will cost you per month compared with its rivals. 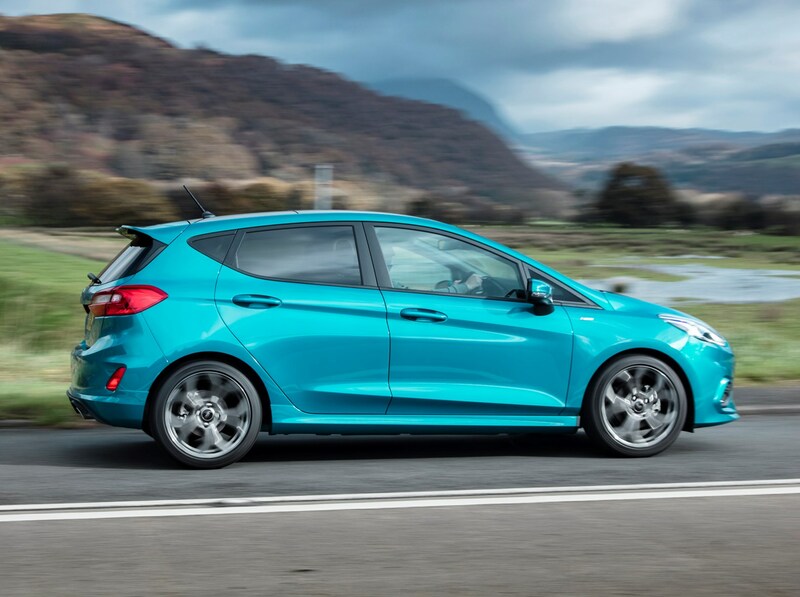 We’re predicting that the Fiesta will remain one of the best-selling cars in the UK, if not right at the top spot. With that in mind it’ll be a buyer’s market for secondhand cars, so you’ll be free to choose from myriad models. Read through the Features page of this review carefully to understand the line-up – you should be looking to get the most kit for your cash possible. As ever, it’ll pay to carry out a Parkers Car History Check to ensure there’s no outstanding finance or other nasties you need to know about. 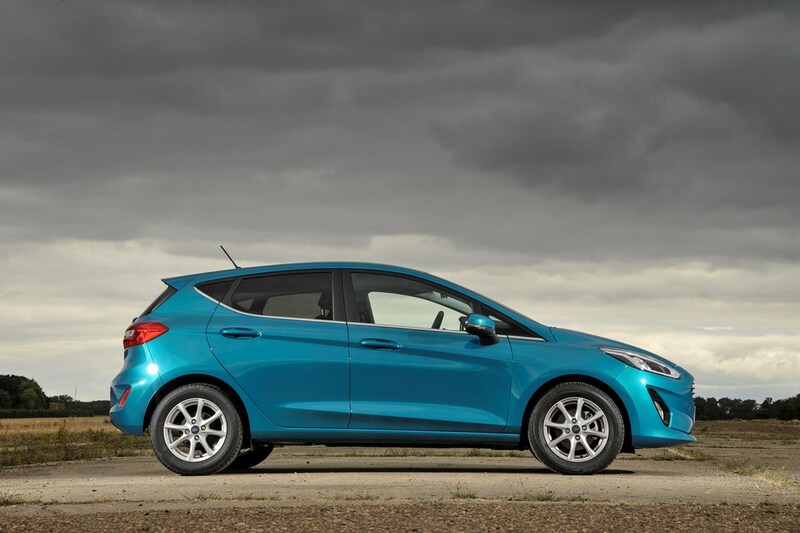 There are going to be countless Fiestas on the secondhand market, so you can dramatically improve your car’s chances of selling with a decent-quality advert to help it stand out. To avoid time-wasters, list all specification clearly along with any options installed, and ensure you include relevant servicing and maintenance records too. A good set of photographs and even a walk-around video will also help your sale. Finally, price it right by carrying out a mileage- and options-adjusted valuation on Parkers.